If you asked me whether I recommend you to try instant coffee or not, I would ask you first what kind of coffee drinker you are. For example, do you like black coffee or drink it with sugar or cream? Do you consider yourself a coffee snob? Thinking of instant coffee, I say, either you love it or you hate it. Well, to not be too black and white, let's include a third group, which I belong to as well. This group does not really prefer instant coffee as there first choice, but accepts it sometimes because of its convenience and speed. Maybe you are one of those coffee drinkers, that only need the caffeine boost, and fast. And that’s OK. By all means. Not everybody is a coffee snob and cares about fruity aromas or a floral aftertaste. All you care for is a quick and decent cup of coffee and again, quick! But when you ask a coffee connoisseur what he thinks of soluble instant coffee granules, he might kick you off his property. Why do I tell you all this and not start talking about the actual topic? Well, if you consider yourself a coffee connoisseur, you probably won’t like this post. Because I will tell you more than once hat instant coffee can be tasty! So what can you expect from this post? Keep scrolling down to the Top 3 instant coffees. If you need more suggestions, check out all 10 instant coffee recommendations. Skip the list of instant coffees at first and watch the video further below. I picked the video that explains very simple, without a lot of tech terms, how instant coffee is made. After the video, come back to the top and check out the different instant coffees and their pros and cons. Skip the blue boxes if you don't enjoy reading about geeky science stuff. Well, read whatever you want and DON'T skip the blue boxes! Did you grow up with instant coffee? And if yes, do you like the taste of it? I guess the crucial factor of your answer could be where you have lived most of your life. The best way to answer this question is to picture a world map and fold it in the middle. 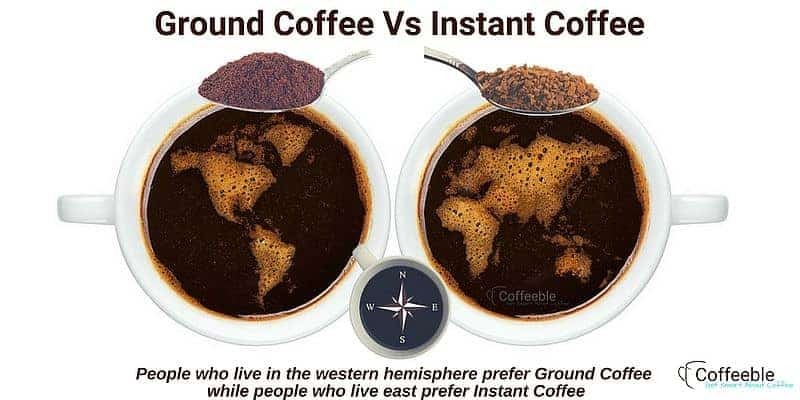 If you have lived on the left side, like, Canada, USA, South America, and Western Europe, the chance you grew up with instant coffee is rather low. According to Euromonitor, countries like Georgia or Belarus consume the most cups of instant coffee per head. If you listened to your Geographic teacher in school, you know that all these countries are in the east. But there are signs that instant coffee gains popularity also in the western states. Euromonitor predicts, that the instant coffee market is about to grow over $8 billions by 2020 to a value of $36 billion. Although most of the growth is predicted to happen in the east, there's also movement in the west. 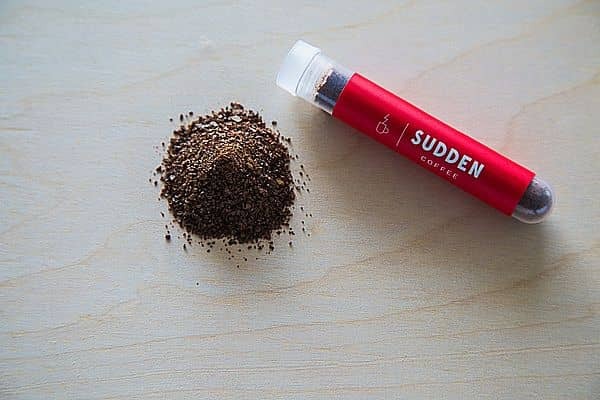 Sudden Coffee, for example, has started a company in the USA in 2015 to offer a premium instant coffee beverage. In this post we will have a closer look at Sudden Coffee, but also compare it with other instant coffee brands. These are the best instant coffees of 2018! I tell you right away, this list about the best instant coffees is not a list from worst to best. In fact, I'll do it the opposite way. I suggest the clear winner of the Top 10 Instant Coffees is, well, my #1 in the list - Sudden Coffee. But not without a reason. If you allow me, I like to call Sudden Coffee the first "third wave instant coffee". So what's third wave then? In short, it's the latest trend in the coffee industry. Folgers, Maxwell, and even Starbucks is first and second wave. The third coffee wave is about specialty coffee. It's about more than Starbucks' dark roasted brew. 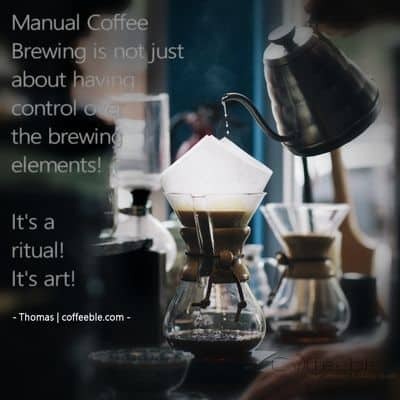 It's about manual brewing methods and the exact water temperature. About coffee growing regions and farms, and more. 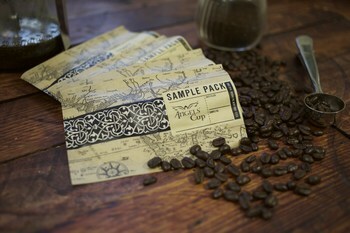 Sudden Coffee buys their coffee beans from all over the world. But only the good beans, not the cheap robusta beans, that others use. Then they let them roast from third wave high-quality roasters. Some well-known roasters are Intelligentsia or Equator, for example. And to preserve the flavor and aroma after brewing, Sudden Coffee freeze-dries them in small batches. But even more important is, does the coffee also taste good? I have to admit, I was never a fan of instant coffee. But after one or two cups and getting used to the convenience of only heating up some water, I liked it! Sudden Coffee is not cheap, but this coffee is made from experts. Quality has its price. And if you decide later, that Sudden Coffee is your way to start the day, choose a subscription plan and save some dollars. A 24 cup per month plan, for example, is only $1.75 per cup. So in a nutshell, today, Sudden Coffee is, in my opinion, the best instant coffee you can get. If you don't like the strong and robust taste of most instant coffees, you should try Mount Hagen. Their instant coffee is balanced and mild. It is certified by the EcoCert certification organization to be 100% organically grown. On top, Mount Hagen coffee is fair trade, which means, the coffee farmers get a fair price for their coffee growing efforts. Be warned that it's not the cheapest of all instant coffees. So you should decide for yourself if organic (no pesticides! ), fair trade and the mild flavor are worth the price for you. Back then when I still drank more instant coffee, I always preferred Nescafe. Taster's Choice is available in four different flavors. These are not all flavors, only two to be more specific: hazelnut and vanilla. The other two options are either House Blend or French Roast. The House blend is more on the lighter side while the French is a darker roast. You should know that the flavored coffee pouches have 2 g of added sugars and it's not real hazelnut or vanilla that you taste. The flavors are artificial. It's cheap, people like it, what else to say? Well. maybe a little bit about the roast and taste. Folgers plays it safe and uses a medium roast for this instant coffee. This means you get a well-balanced coffee, not too strong and rich but also not too mild. Somehow Folgers must save money themselves to offer this low price. One of them is the blend of cheaper robusta and the better arabica beans. I would say, get the Folgers, when you need a cup or two between your regular brewed coffee or when you go camping. If you like espressos and cappuccinos and are looking for a quick caffeine shot between, you should give Cafe Bustelo a try. Their instant coffee is dark and bold, has a full body, but is still smooth and aromatic. It's made for people like you, who want to add steamed or frothed milk. Agreed, it's not a real espresso, of course not. But compared to the lighter roast instant coffees, the dark roasted Cafe Bustelo instant coffee comes closest. When it comes to Maxim Gold Instant coffee mix, I would not be surprised, if opinions tend to differ sharply. Because these single sticks are not only filled with coffee granules but also sugar and creamer. On the one hand, yes, they're extremely convenient for camping, at work, or anywhere else on-the-go. But only if you like sugar and creamer in your coffee. Some suggest squeezing the stick at the end to block the sugar from coming out if you don't like it sweet. Makes sense. But still, if I don't like sugar in coffee, which I don't, I would simply pick a different instant coffee. But the people that buy this coffee, seem to like it. The red package is the original Maxim instant coffee. The yellow is Mocha so it has some extra Mocha in the stick. But both red and yellow are filled with coffee, sugar, and creamer. Mushrooms also have health benefits. They're packed with vitamins, minerals, and micronutrients. Four Sigmatic thought why not create a super-coffee by making it even healthier. Let's mix the mushrooms in the coffee. But wait a minute if you don't like mushrooms. You don't taste it! Four Sigmatic powders the mushrooms before they get mixed into the coffee. The coffee beans are by the way 100% certified organic coffee! Make sure to check out all the flavors. There is a medium roast, more fruity, mixed with lion's mane & Chaga mushrooms. The darker roast, rich and smooth in flavor, includes cordyceps & Chaga mushrooms. These are only two of the available 6 flavors. Check them out! The German Coffee Brand Jacobs knows how to produce a good cup of coffee. They're in the business for a long time. There's nothing special about this product. 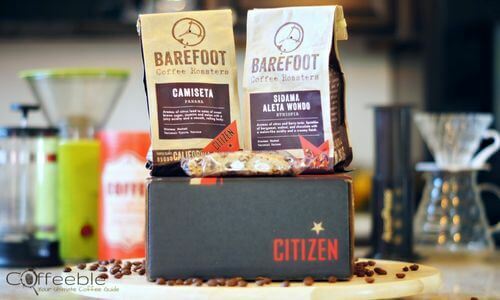 The freeze-dried coffee is flavorful, has a decent taste and the aroma is almost like a regular brewed cup of coffee. And compared to worse tasting instant coffees, the price is also reasonable. Of course, where is coffee, there is Starbucks. 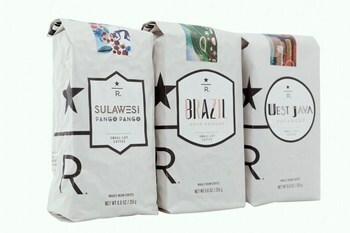 Depending on what roast you pick you can expect different flavors. The French Roast, the darkest, gives you a bold, smoky flavor, better for drinks with milk. The Pike Place is instant coffee made of medium roasted beans so you may even like it without added creamer. Although the coffee tastes OK, it's pricey. Guess you have to pay for the brand name on top. At last, there is G7. The Vietnamese coffee producer prepares their instant coffee a little different. By now you know, that in most cases, coffee is brewed before it becomes instant coffee. (If you don't know this by now, make sure you read the blue box below "How instant coffee is made"). G7 coffee is neither pre-brewed nor freeze-dried. So you only brew it one time, at home. It's supposed to taste fresher and more flavorful. G7 coffee is available in different sizes and packages. There's also a coffee, sugar and creamer mix available. So make sure to read the description before you order, in case you don't like sugary coffee. Instant coffee is a dried, soluble coffee extract in granulated or powdered form, which only needs hot (or cold) water to create a ready to drink coffee beverage. At first, coffee will be roasted and brewed as you know it. The first step of freeze-drying coffee is to keep heating it up until it ends up as a thick creamy soup, comparable to caramel. Second step is to freeze the coffee soup to a temperature of around -40 to -50 degrees Celsius (-58F). 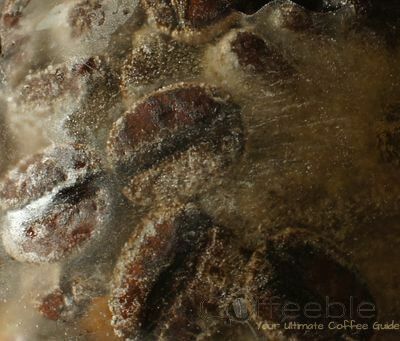 At third the frozen sheet of coffee concentrate is crushed into the small granules. Since the granules still contain water the fourth step is to transfer the coffee granules to a low pressure or vacuum drying chamber. The fifth and last step is to remove water from the coffee granules. The chamber is heated to about 50-60 degrees Celsius. Because of the vacuum, the locked water inside the coffee granules turns straight into steam. Without the vacuum, the coffee granules would liquefy. Skipping the liquid phase in water and going directly to steam is called sublimation. Spray-drying is often preferred over freeze drying because it's faster, cheaper, and can be done in big batches. First step of spray-drying coffee is again to roast and brew it as you brew coffee at home, just in bigger proportions. The second step is to spray the coffee liquid into a big drying tower. Compare it with a misting nozzle that sprays water to cool you off in the summer. But instead of water, it's a thick coffee concentrate. 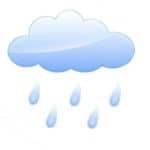 The drops have the size of about 300µm (micrometer=one millionth of a meter or 300µm=0.012 inches). The temperature inside the tower is about 250-300 degrees celsius. The coffee drops instantly dry out and become a granulated coffee powder. An eventual third step would be to slightly make the coffee powder wet again to increase the size of the tiny granules. Can you see the difference between freeze-dried and spray-dried instant coffee? Freeze-dried instant coffee are coffee granules. They're bigger and have a similar size of buckwheat. Spray-dried instant coffee looks more like a powder. However, some spray-dried coffees are made wet again a few more times to get larger sized granules. Why does instant coffee taste bad? At first, taste is subjective. In fact, many instant coffee drinkers actually love it so much, they don't like freshly brewed coffee. But there are a few coffee brewing rules to follow. And those rules are backed by science that when not followed will reduce the quality of the brewed coffee. In most cases the coffee that is used to produce instant coffee is not freshly roasted coffee. Often the coffee has been roasted months, when not years ago. Roasted coffee goes stale after about a month or two at the latest. 2. Instant coffee is often a blend of robusta and arabica beans. In short, it's cheaper to grow robusta beans compared to arabica beans. To keep the price of instant coffee low, a lot of manufactures use robusta beans. Since robusta beans have more caffeine they are blended with arabica beans to make the taste more bearable. 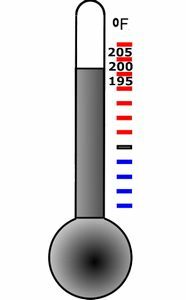 Instant coffee is often brewed in big batches at temperatures much higher than the recommended 195-205 degrees Fahrenheit -> over-extraction! The result is a bitter coffee. Sudden coffee (my instant coffee #1 pick) only picks fresh green coffee and lets them roast shortly before they brew them. Secondly, there's not one bean of robusta coffee in Sudden Coffee! It's 100% single-origin arabica coffee! And third, the coffee is brewed at recommended temperatures in small batches. On top, the coffee is picked and brewed by a pro: Umeko Motoyoshi! Not all instant coffees break the rules And Taste Bad! There is a chance, that you wanted to try instant coffee and you didn't like it at all. Now you have this big char of coffee granules in your pantry. But it was not cheap, so you can't overcome to throw it away. So how can you use instant coffee other than drinking it? I know, we assumed you don't like instant coffee. But not all hotels have coffee machines in the room. And maybe you're on a tight budget and can't afford to buy your daily caffeine shot in the shops. Then brewing a cup of instant coffee in the hotel room is eventually better than no caffeine at all. Imagine you are waking up in the morning in nature, heating up water at the campfire. Well, maybe a cup of instant coffee in nature tastes much better than at home. Try it! There are a lot of recipes that include coffee as an ingredient. Instead of brewing a pot of coffee you can use instant coffee! 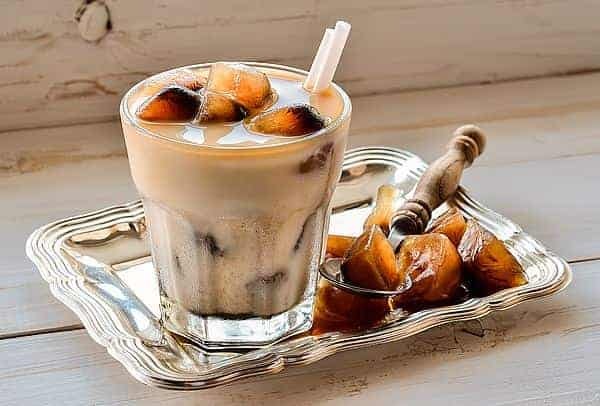 When it's hot in summer, a refreshing iced coffee or cold brew coffee is the best we coffee addicts can get in our hands. Unfortunately, adding ice cubes often dilutes the coffee and after a while, all you have left is a watery flavorless brew. The solution: coffee ice cubes. Mix cold water with instant coffee and pour it in ice cube trays. Well, to be precise, it's not a candle, but a candle warmer. I found this idea at The Krazy Coupon Lady. A pretty cool idea, especially if you like the smell of coffee in your house. Pour a spoonful of instant coffee into the melted wax and soon you will think you have set foot in a coffee shop. 1909 Instant coffee is produced for the masses by George C. Washington (scientist, not the president). He calls it Red E. Coffee. 1914 During world war instant coffee became very popular and soldiers call it "a cup of George". 1937 Nestle scientist Max Morgenthaler invented a process to co-dry coffee extract with soluble carbohydrates and named the product Nescafe. Whether you like instant coffee or not, it's not going away anytime soon. If you haven't tried it, do it now. But try the good stuff, like Sudden Coffee. And then let me know in the comments section below, how much you like it. I got a lot of comments and questions both in emails and the comments section below. So I decided to update this post! For your convenience, I added a table with American Made Coffee Makers. I also spoke to Bunn about Made In Vs. Manufactured In USA. 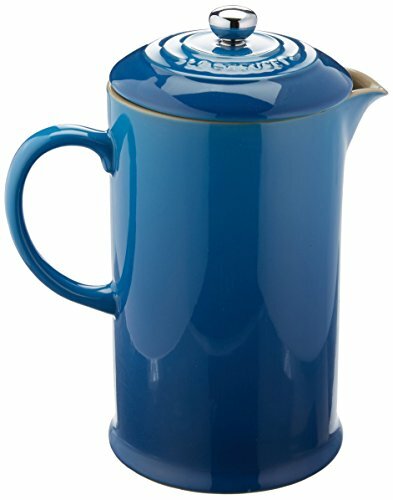 Are There Any Drip Coffee Makers Made In USA? Are Bunn Coffee Makers Made In USA? At first, I want to get something off my chest. 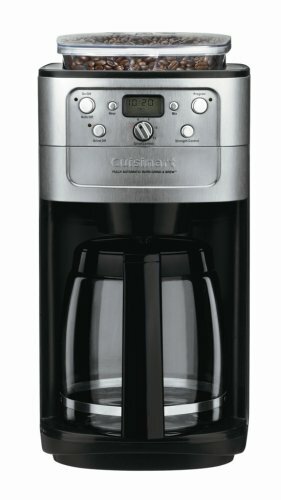 I found a lot of other posts about American Made Coffee Makers! To my dismay some of them have Hamilton Beach, Breville, Mr. Coffee and other brands in their lists as Made In USA. I wish they would be right, I really do! 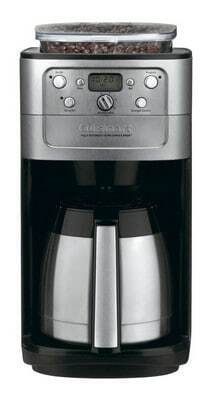 I wish the Mr. Coffee’s and Cuisinart’s would produce at least some of their coffee machines in the United States. I checked so many brands. I turned at least a hundred boxes upside down or opened them in the store - when nobody looked - and checked the manual. But none of them had somewhere the “Made In USA” label. 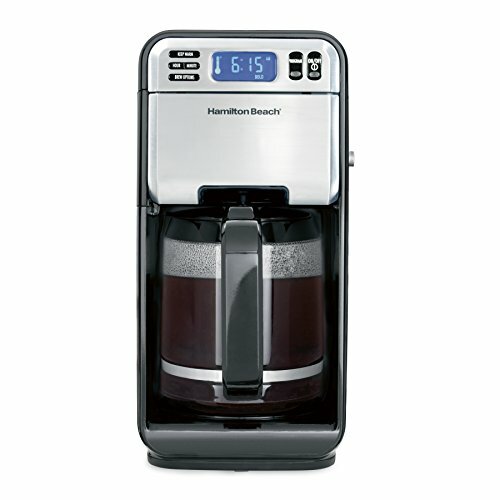 There is no Hamilton Beach, no Cuisinart, no Mr. Coffee made in USA. And no, Keurig is not made in USA either! I also did some research online. You know what I noticed? When there is a coffee making product NOT made in China, believe me, they want you to know. Either in the title, the feature list or description. It’s not a guarantee, but if you don’t find any statement about the country of origin, you can assume it’s China. But it’s not that all china made coffee makers are bad. And I have nothing against the Chinese people! Chinese people are hard workers! But I assume you want to see a few - just a few made In USA labels back on coffee makers again, right? When was the last time you have found this statement on a product’s carton? I hope you believe me, that I tried hard to find a handful of coffee makers made in USA. But in today’s competitive marketplace, every company tries to reduce costs at the possible expense of quality. Known brands like De’Longhi, Mr. Coffee, Hamilton Beach, Cuisinart are all made in China. Please let me know if you are aware of any American made coffee makers. Fortunately, there are a few manufacturers left that can still claim, that their coffee makers are made in USA. According to the FTC (Federal Trade Commission), a product is Made In USA, when it is “all or virtually all” made in the United States. If more parts for a product are made overseas, it does not qualify for "made in" anymore but has to use other phrases like "built-in" or "assembled in" or "manufactured in". “All or virtually all” means that most of the work and parts of the final product must be of U.S. origin. If you want to read the whole guide, please follow this link to the FTC’s website. Short Answer: NO, unfortunately not! I want to emphasize that in this chapter the NO counts for Drip Coffee Makers! 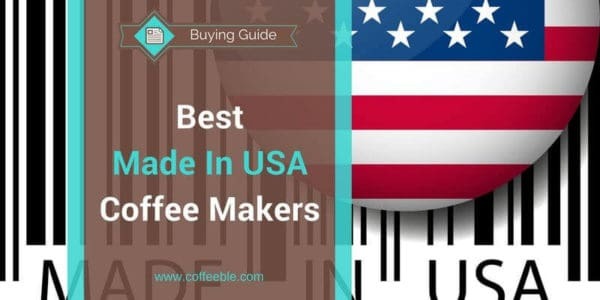 Further below is a list of other coffee making devices like percolators or French Presses which are made in USA, or Drip Coffee Makers Not Made In China. Hey, prove me I’m wrong! If you know a drip coffee maker made in USA, please let me know and I will immediately correct my post and add it to the list. Are Bunn Coffee Makers MADE in USA? No! 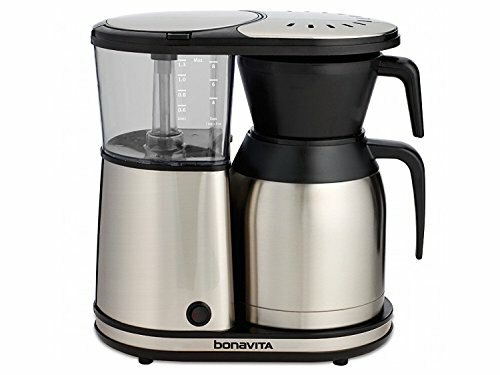 Are Bunn Coffee Makers MANUFACTURED in USA? Yes! Let me get straight to the point with all other Bunn Coffee Makers. I love their coffee machines and proudly own the Bunn MCU Single Brewer. Yet, reading the statement about Assembled in the USA, Bunn consequently avoids using the words ‘Made in USA’! Rather they describe their coffee makers as being Assembled or Built-In USA. 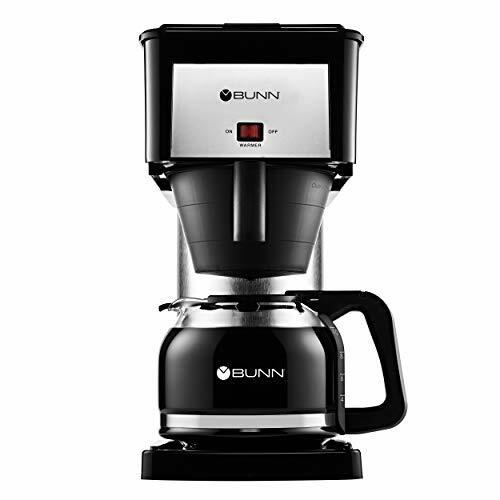 Still, I have decided that Bunn qualifies for my list of Coffee Makers made in USA. Compared to the other companies mentioned above, they at least do some of their work in the United States. The last months I got so many questions (check comments at the end) about Bunn and “Made In Vs. Manufactured In”. So I reached out to Bunn myself and wanted some clarification about their coffee makers. We source materials from North America and other regions of the world. It is important that a manufacturer like BUNN have a controlled variety of sources to buy the materials and components we use to make coffee brewers and other beverage equipment. BUNN has strict control of all suppliers and a rigid supplier quality process to confirm that materials come from BUNN-approved sources only and are compliant with all agency requirements. Safety and quality are the #1 priority at BUNN. 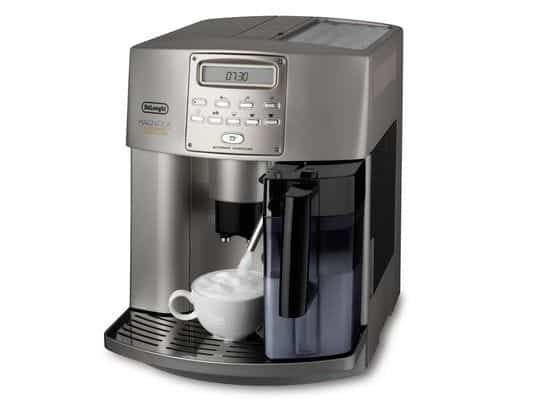 If you are looking for machines that are built in the USA, choose the GR, BX, BT, or Speed Brew models. Some parts can come from overseas, but these machines are assembled in Iowa. The Home Trifecta MB is also built in the USA. Some parts can come from overseas, but this machine is assembled in Springfield, Illinois. We know of no other coffee maker that is built in the U.S. The NHS, STX, HG, HT, MC, MCU, and HB (Heat and Brew) are all made in China - all meet BUNN quality species and agency standards and go through a rigorous Quality Assurance check. 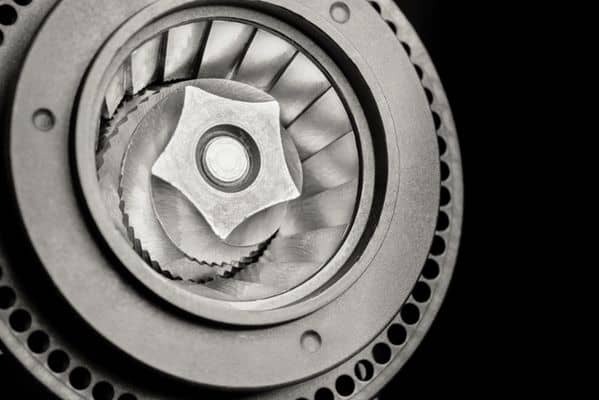 We are confident in the sources of supply for all our components and finished products. What does "made in the USA' mean? To claim your product is "Made in the USA", according to the FTC (Federal Trade Commission) your products must be "all or virtually all" manufactured in the USA (based on cost, not a percentage of parts). As explained in the first chapter a manufacturer can only claim their products MADE IN, when the product is all or virtually all made in the United States. What I didn't know is that it's based on costs and not materials. Bunn produces products overseas, but builts and assembles them in the United States. Thus, manufactured in USA but not Made in USA. 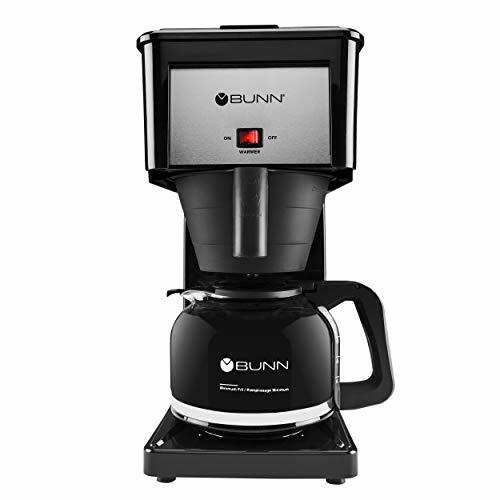 Now the question is, could Bunn still be competitive if they made their coffee makers 100% in USA? Money is tight and many of us have trouble to make ends meet. So imagine a $50 coffee maker has thousands of 5-star reviews and a Bunn costs $150 but claims to be MADE IN USA, which one would most people pick? 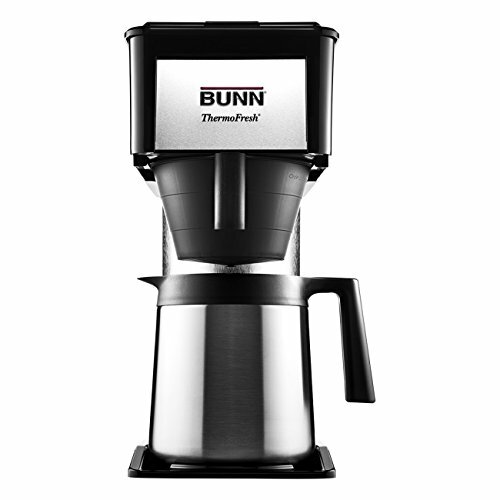 Would enough people pick the American Made Coffee Maker so Bunn could survive? Obviously not, otherwise there would be fewer coffee makers made in China on the market. Let’s have a closer look at Bunn’s coffee makers. 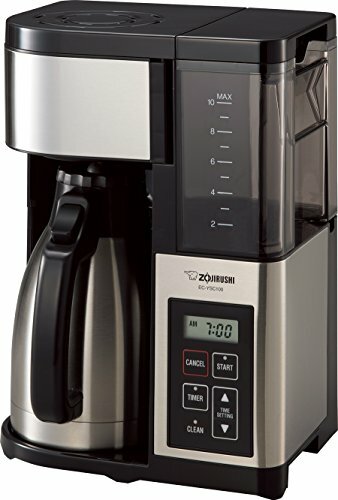 This Bunn Drip Coffee Maker is called Speed Brew because it can finish a full brew cycle in 4 minutes. It's easy! The Bunn Speed Brew has an internal water tank that keeps water constantly at brewing temperature. And when you are ready for a new batch of coffee there is no pre-heating of the water necessary anymore. 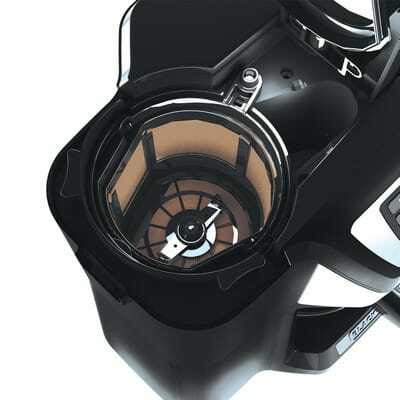 The spray head of this coffee maker is Bunn-engineered and extends the contact time between water and coffee. Additionally, it's a lime-tolerant spray head which means that minerals, especially when you have very hard water, won't clog it so often. For you, this simply means less cleaning time! These coffee makers come in two versions, the GRB, GRW and BXB, BXW. The B and W at the end simply state the colors of the coffee maker: black or white. So What Is The Difference Between The Bunn Velocity Brew GR And BX? The GR model is the typical design of Bunn: square and angular, black with a silver front. The BXB has a more modern look and a round silver water reservoir. The Bunn Velocity Brew BT comes with the same features as the GR and BX except for the glass carafe and the warming plate. 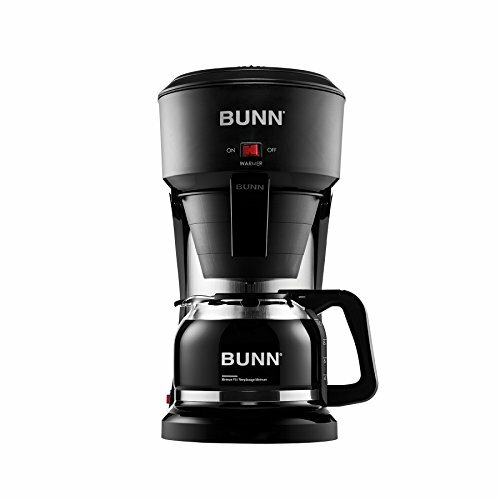 The Bunn BT is equipped with a double wall, vacuum insulated thermal carafe and thus, does not need a warming plate. As you can see in the image, the design is also slightly different. The chance to find an American made manual coffee maker is slightly higher than a drip coffee maker. My guess is, that it's easier and not so expensive to produce a ceramic or glass drip cone with local american materials only. 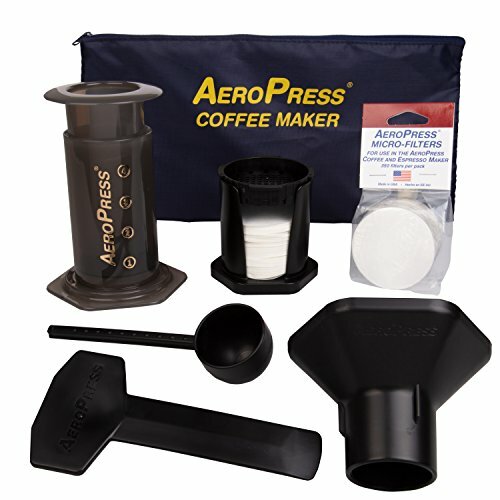 Popular with coffee enthusiasts worldwide, the patented AeroPress is a new kind of coffee press that uses a rapid, total immersion brewing process to make smooth, delicious, full flavored coffee without bitterness and with low acidity. Good-bye French Press! The rapid brewing AeroPress avoids the bitterness and high acidity created by the long steep time required by the French press. Plus, the AeroPress paper Microfilter eliminates grit and means clean up takes seconds. 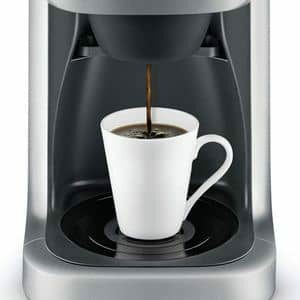 Makes 1 to 3 cups of American coffee per pressing in about a minute, and unlike a French press, it can also brew espresso style coffee for use in lattes, cappuccinos and other espresso based drinks. Perfect for home kitchen use, the AeroPress is lightweight, compact, portable and durable. The tote bag makes it easy to pack with some coffee and a cup for use while traveling, camping, backpacking, boating and more! The Aeropress is an impressive and very popular tool to make a great cup of coffee. Mostly it is used at home or at the World AeroPress Championship. Yes, you heard right! It is so popular that there is even a world championship! Since it does not need any electricity, it is also an ideal device for camping or any other kind of traveling. And most importantly for this post: this coffee maker is made in USA! A simple but elegant coffee maker popular by all kind of coffee lovers and baristas. The Chemex is made in Pittsfield, Massachusetts. It's completely BPA-free, for all the health-conscious readers. 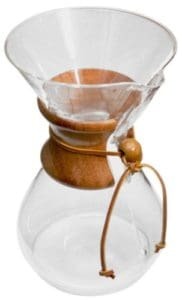 What makes the Chemex so popular is the unique hourglass-shaped design. But they didn’t stop there. 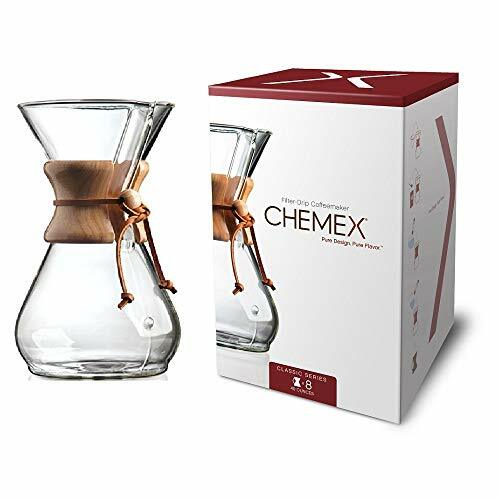 Chemex also developed their own filter, a thick specialty fiber filter. According to Chemex, this thick filter keeps bitter elements, oils and coffee sediments in the filter and out of your cup. Able Brewing developed, designed and built this beautiful pour over brewer in California, USA! Can you see yourself preparing breakfast, putting rolls, jam, and butter on the table? Then grinding fresh coffee, pouring it into the Kone Filter and placing it on the server. Now either you have breakfast by yourself or with your family, all you need to do now is wait for the rest to join. Pour hot water, and within a few minutes, coffee is ready. Remove the top, add the lid and up to 32 ounces of coffee is ready to serve. The Kone Filter is made of stainless steel, only the supportive ring on top is plastic. But no worries, it's food save, according to Able's website. And the brewer itself is 100% ceramic, no plastic at all. If you are not familiar with the difference between cold brew coffee and iced coffee, keep reading. When you go to Starbucks and order an iced coffee, you get regular brewed coffee, cooled down in the refrigerator and then poured in a cup with ice cubes. Cold Brew is different! You don't brew it hot! Ground coffee is steeped overnight in cold water. Taste is subjective, but cold brew coffee is supposed to be less bitter, less acid, balanced so to speak! Instead, cold brew emphasizes the amazing flavors coffee has to offer. I actually agree! I do prefer cold brew coffee over iced coffee! But not all coffee lovers do! So decide for yourself! 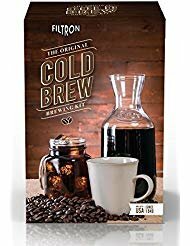 One of the two American made cold brew coffee brewing systems is the Filtron Brewing Kit - since 1949! With this system, you can make 1 1/2 liter (~50 oz.) of cold brewed coffee. It's pretty simple to use. Plug in the included rubber in the bottom hole, insert the reusable filter pad and pour up to 1 pound of coffee in the bowl. Then you insert the ground guard on top of the ground coffee, place the water bowl on top and fill it up with water. That's it. The water drips down and after about 16 to 24 hours, you have homemade cold brew coffee with an American made cold brew system! Cheers! 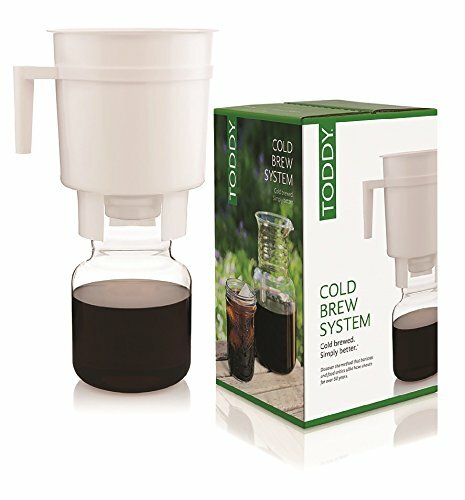 Toddy is the second cold brew coffee system made in the USA that made it into my list. It works like the Filtron system. The biggest difference is, that the Toddy System does not have an extra water bowl and the ground coffee guard. You pour coffee and water in the same pot. And the missing guard you make up with a spoon by pushing down the grounds. Toddy also offers their huge paper filter which extends the life of the felt filter. Clean up is much easier. Just dump the filter in the trash! Lucky you, Toddy also offers a commercial cold brew system. Of course, I only mention it because it's also made in America. In Loveland, Colorado to be more specific! Except for the acrylic storage decanter, which is made in China! There are other countries, especially in Europe, that stand for high quality! So I have selected a few companies that are known for their coffee makers made in other countries than China. So if you are open for “Made In Europe” and not only focus on USA made coffee makers, keep reading! They are not cheap but well known for their high quality. 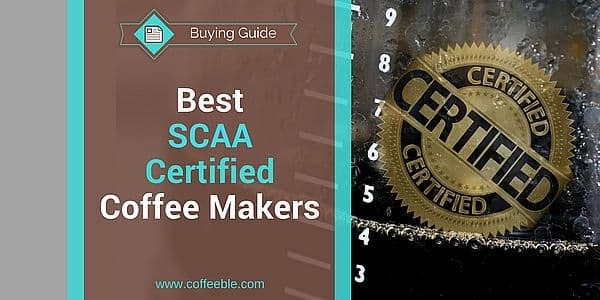 The SCAA (Specialty coffee associations of America) has certified all Moccamaster coffee machines. 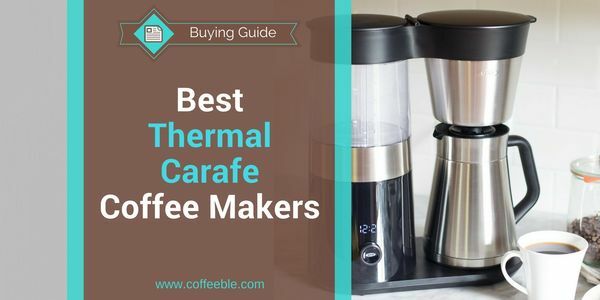 For this reason, the Technivorm Moccamaster coffee makers are definitely recommended, especially the thermal carafe coffee makers. 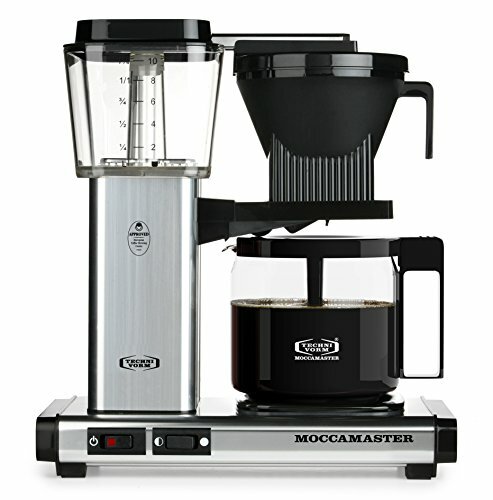 I have not had the time yet to look more closely at the Moccamaster’s but it’s definitely on my list. Most of Jura's automatic espresso machines are Made In Switzerland. But I have also heard that some of them, probably the cheaper ones, are made in Portugal. So please before you buy a Jura espresso machine make sure to find out where exactly it is produced. Even so, I'm confident that both Switzerland and Portugal made Jura machines are of high quality! At first, if you were hoping to find Krups drip coffee makers made in France, I have to disappoint you. 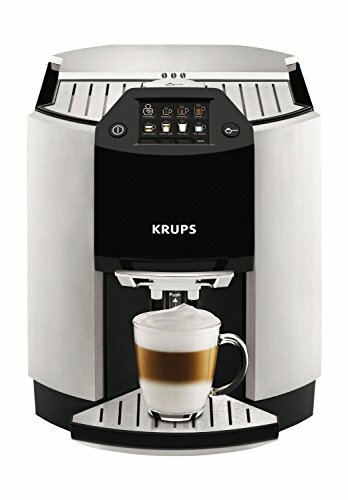 All Krups coffee machines I checked are made in China! However, the following four Krups Super Automatic Espresso Machines are not made in China. Krups EA9010, EA8808, EA8298 and EA8250. The picture shows the EA9010 Barista One Touch Super Automatic Machine. Awesome machine!!! Fully automatic and as the name says, you can brew drinks with the touch of one button. 17 drinks to be more specific! Fully customizable and programmable. If you prefer espresso over coffee, but the Jura machines are too expensive, then you may fall in love with the Nespresso Pixie single-brewer. I did some research since I was skeptical about the statement that Nespresso is being made in Switzerland. And indeed only the Pixie is made in Switzerland. 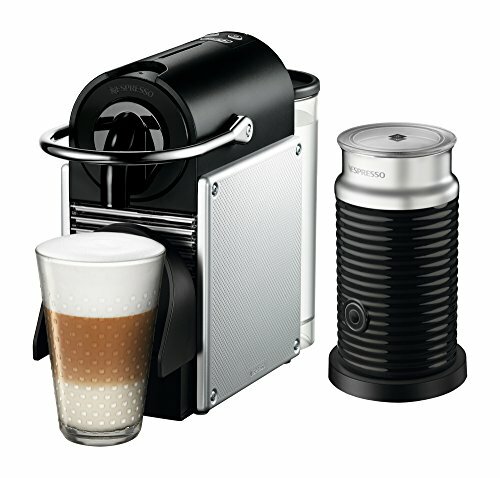 Nespresso has a few other espresso machines in their portfolio like the Inissia which is made in Hungary. How about a beautiful, handcrafted French Press made in England from English clay? This 34 oz. Coffee Press is definitely not made for you to hide it in the cupboard. No, this French Press should be placed on the breakfast table, where everybody can see and adore it. The chip-resistant clay is suitable for your oven, microwave, dishwasher and even freezer. Just make sure to remove the plunger first! Now I'm not sure about the image at Amazon where the Cafetiere is used as a vase with flowers in it. I honestly would not want to share my freshly brewed Denby French Press coffee with my flowers. Made me grin a bit. I have to admit, finding American made coffee makers was harder than I initially expected. The few that I found are definitely worth checking out, though! When it is important to you, that your next coffee maker is not made in China I hope I could give you some options. Please share with me in the comments below, if you know more coffee makers made in USA! 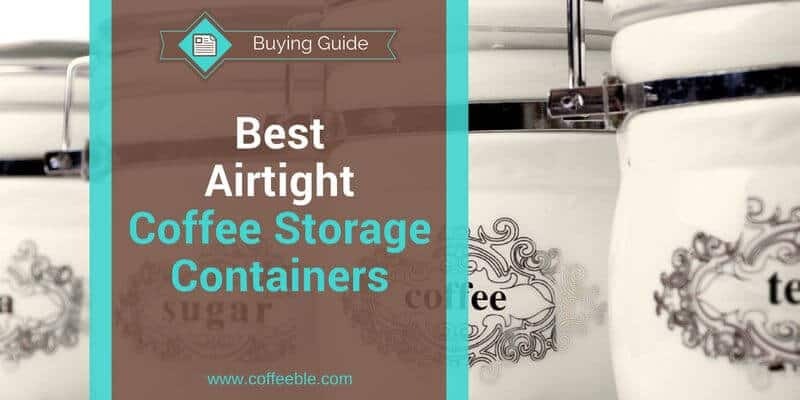 7 Best Airtight Coffee Storage Containers 2018 – A Coffee Bean’s Home! For those of us who enjoy the indulgence of a great cup of coffee, we want the greatest benefits from the coffee we choose. To achieve the perfect cup of this heavenly brew, it is important to store coffee the right way! Protection from elements like air, light, heat and humidity, which can rob coffee of its quality is priority one. Why Is Proper Coffee Storage So Important? What Are Coffee's Main Enemies? Storing Coffee In The Refrigerator Or Freezer - A Good Idea? But with low-quality coffee, you still won’t be able to enjoy great coffee, no matter how good your coffee storage container is. What I'm trying to say is, if you usually buy ground coffee in the store, there is no need anymore for vacuum sealed, airtight, or CO2 valve release features. Because ground coffee from the shelf got already beaten up by its enemies. So protecting it now from oxygen or UV-light is like spraying insect repellent after you got attacked by hundreds of mosquitoes. So the damage is already done! My goal is not to discouraged you from buying a coffee canisters if you purchase your coffee in the grocery store. All I want is to make sure you understand that you get the most out of an airtight coffee container when you store freshly roasted coffee beans in it. A good #coffee container ensures that your java tastes great from the first cup to the last. If you have ever had the misfortune to encounter stale coffee, it's an experience you will never forget. Stale coffee has an unpleasant, sharply bitter taste. Definitely not something a coffee lover like you wants to experience! If coffee is not stored the right way in an airtight container, it will go stale fairly quickly. Stale coffee not only has a bad taste but also a bad odor. Having no pleasant coffee aroma is the result either before or during brewing.The smell of stale brewing coffee is like sawdust at best. A sharp moldy old scent in more unpleasant circumstances. The best way to store roasted coffee is in an opaque, airtight container. Even better, if it's vacuum-sealed. When it comes to the various forms of coffee, there are some specific ways to store it. Ground Coffee - Ground coffee bought in the store can't go stale, because it already is! Use it right away! Roasted Whole Beans - Best stored in a cool, dark place and maintained at room temperature. Green Coffee Beans - Place them in a airtight container in a human comfortable temperature and humidity environment. The amount of time coffee stays fresh depends predominantly on whether it is stored properly or not. Roasted coffee beans, when stored away from light and oxygen, are generally fresh for about 15 days. It is best not to grind coffee beans until you are ready to brew. This ensures greatest freshness, aroma, and flavor. Green, unroasted coffee beans on the other hand last for about a year or even longer​. Again, when properly stored. If exposed to air and humidity, green coffee beans can either dry out (low humidity) or grow mold (high humidity). Have you ever asked yourself how long you could drink coffee before you should throw it away? If stored in a good-quality coffee storage canister, you can keep the coffee for about 6 months. Yet, it is advised that to get the most enjoyment out of your coffee, old coffee should be discarded and replaced after 3 to 4 months at the longest. And just to make it clear: I'm not talking about how long coffee stays fresh! What I'm trying to say is that I don't throw my beans out after 15 days only because they lost some of the flavors. But I personally reach my acceptance limit after 3 months or so. Which, barely happens! I drink way too much coffee and a bag rarely lasts longer than a week or two. The undisputed enemies of coffee in any form are oxygen and ultraviolet (UV) light followed by humidity and temperature fluctuations. Oxygen causes oxidization, which robs coffee of its freshness and flavor by drying out the natural oil content of the coffee. Ultraviolet light is what is known as a mutagen, meaning that it causes genetic mutations. This process breaks down the chemical compounds in the coffee which work to preserve it's flavor and quality, leaving it dull and lacking in aroma and taste. Time can also affect the freshness of coffee if it is not stored properly. 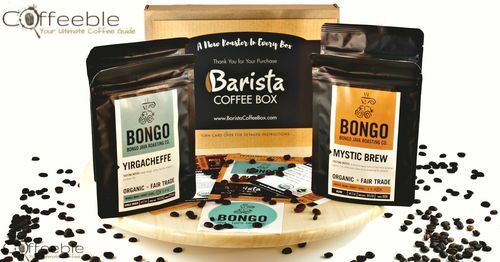 If roasted coffee beans are sealed securely in an airtight container that also keeps out humidity and high temperature, they can be kept fresh for about two weeks without compromising the brew too much. 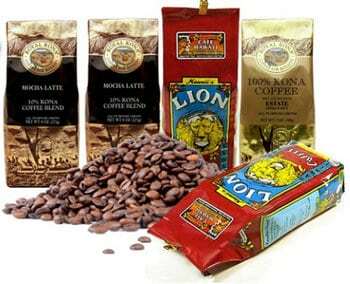 Ground coffee and whole coffee beans, whether green (unroasted) or roasted, should never be stored in the refrigerator. Moisture destroys the integrity of all forms of coffee quickly. Period!​ Need more proof? Here you go! Unless you want to deodorize your refrigerator! No, for real! Place a small container of coffee beans in your refrigerator and it will absorb ​bad odors. I recommend you to only buy as much coffee as you can consume in one or two weeks. But we all want to save money and sometimes there is a 5 lbs bag at a super discount available and we just can’t say no. While it is true that coffee may be frozen for a short time to preserve freshness, this method will only work if the coffee is separated into small amounts and stored in high-quality protective freezer bags for no more than 1 to 3 months. Frozen coffee beans - literally! Otherwise, freezer burn will set in and your coffee will be ruined. 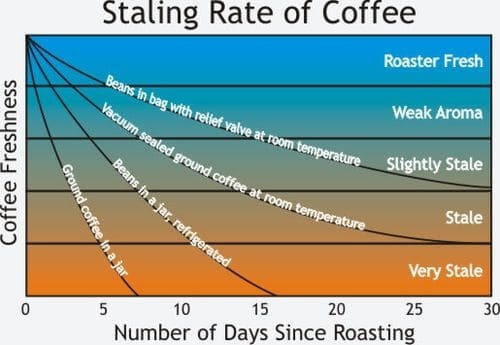 In short, freezing coffee does not actually keep your coffee fresh as often assumed. But if it is still absolutely necessary to freeze, you have to follow a few steps to not ruin your precious coffee beans. Never freeze coffee beans more than once! Proper coffee storage needs a special container. 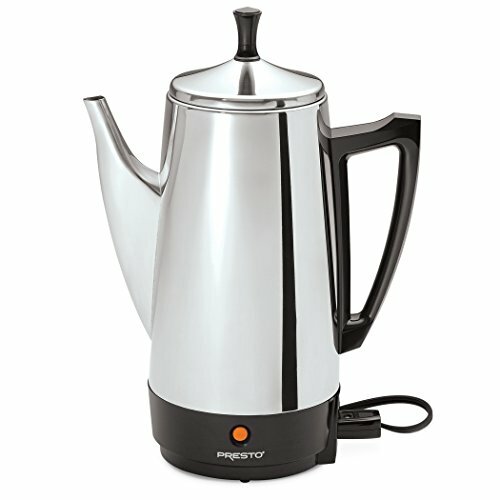 One which is created specifically to keep coffee fresh and ready to brew a flavorful, steaming pot. There are several coffee containers on the market, but be warned - they are not all created equal. Some are more concerned with appearance than functionality. If you are going to invest in a good coffee canister, take the time to do a bit of research and get the best one for your money. Below is a list of the 7 top-rated coffee storage containers. Find the one that fits your needs and show your coffee some TLC. The Zevro Vac'n Save Container stores coffee in a hand-vacuum-sealed container. It holds whole bean coffee or ground coffee. But, of course, you can also keep other ​products fresh like cheese, nuts, chips, just to mention a few. At first you place coffee inside the container. Using a hand pump which attaches to the lid, you can then draw all the oxygen out. This BPA-free﻿﻿ coffee container can hold up to one pound of coffee. One thing you might consider is, that you need to store this container in a dark place, since it's clear polypropylene. 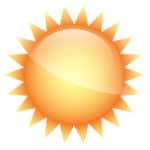 It won't protect coffee from sunlight. As we know now, exposure to air can cause mold to form as well as robbing coffee of its natural oil content. Therefore, a vacuum-sealing process is important. If you prefer to get the greatest taste and enjoyment from your coffee too, then the Zevro Vac 'n Save Ruby Rectangular-Shaped Vacuum-Sealing Storage Containers may be a good choice for you. Airtight seal lets CO2 escape while air stays out to preserve the flavor and quality of coffee. 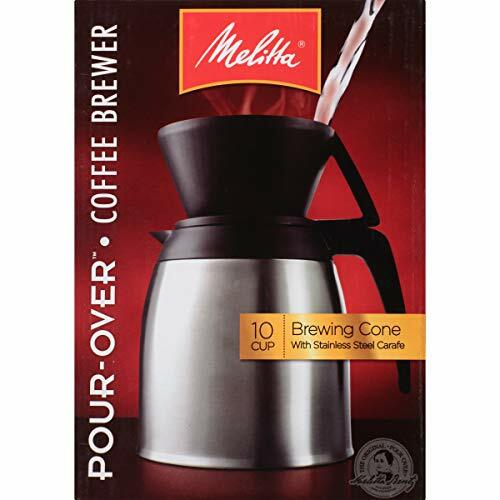 Large size holds plenty of coffee (beans or ground) and makes scooping easy and mess-free. Clear plastic construction allows light to enter, compromising coffee's quality. The Lovffee Coffee Storage Container features a patented venting system to allow CO2 to escape from the canister. At the same time it prevents oxygen and other elements from entering and destroying the quality of the delicious coffee inside. The stainless steel construction of the Lovffee protects coffee from the common factors that are harmful to its great taste. 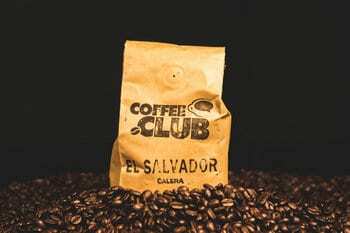 Air, light, moisture and humidity are all enemies of coffee, looking to rob it of its natural oil content and great roasted flavor. It holds up to one pound of coffee and comes with a convenient measuring scoop. The Lovffee is easy to ﻿﻿keep clean since all parts are dishwasher safe. A coworker of mine purchased the Lovffee coffee storage unit and she is happy with it. She especially likes the air filtering feature that automatically removes the CO2 that is naturally released by coffee beans and keeps out oxygen. so her coffee stays fresh longer. Since she doesn't drink coffee every day it is important to her that the coffee remains fresh until she is ready to use it. Chances are everyone in the office is going to be receiving one of these for their birthday this year! Patented aeration system keeps coffee fresh, air out, and lets CO2 escape. 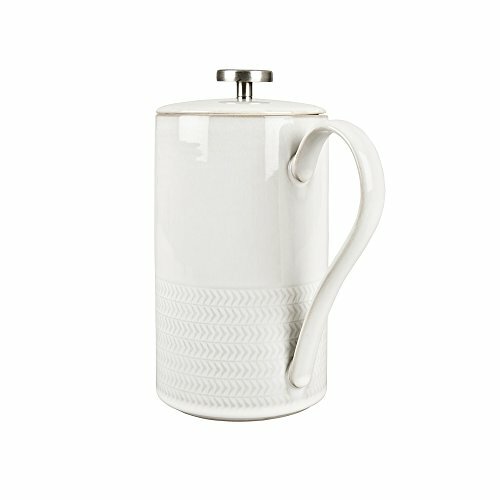 Designer look makes this coffee canister a lovely conversation piece in any kitchen. Some reviewers have claimed that snap closures on lid breaks easily. The one-way aeration valve located on the lid makes stacking impossible. The Coffeevac Coffee Container has a simple appearance, yet it is one of the highest-rated coffee storage units on the market today. It operates via a partial vacuum seal to keep Coffee fresher. The pressure-release valve works whenever there is a CO2 buildup inside the container. The Coffeevac Coffee Container holds up to one pound of coffee, preserving it's quality so you can enjoy a perfect cup every time. Cleaning and maintenance of the Coffeevac Airtight Coffee Container are also super-easy. You can hand-wash it and allow it to air-dry. At busy times you can also put it in the dishwasher. Remember to always check the lid of the container to make sure no wayward coffee beans or grounds are lodged there.Any debris stuck inside the lid can compromise the vacuum-sealing process. In many different designs, colors and materials available. Patented pressure-release system keeps coffee's natural enemies out and coffee fresh. Some have reported that the container developed an unpleasant odor after a few uses. Some report, the canister is too fragile and breaks easily. The Friis stainless-steel airtight Coffee Vault can hold a full pound of coffee beans. Its freshness valve draws out all traces of oxygen and CO2. As you have read before, both of which can destroy the integrity of coffee and ruin it's flavor. The base is solid stainless-steel and the lid made of BPA-free black plastic. This design keeps out all light which can also break down the components of coffee and leave it stale and tasteless. The Friis Coffee Vault comes with a year's supply of freshness valves to release CO2. A measuring spoon is also included to ensure the right amount of coffee for your personal taste.On top you get an informative and entertaining booklet titled, "The Art of Flavor". This is a step-by-step guide for using your new coffee vault. Consumers have reported that in the long term the canister works as well as it did when it was brand new. The ergonomic design makes it perfect in any kitchen setting. The Friis Coffee Vault is available in three different colors: silver, black and red. Make sure that you only hand wash this coffee storage container. Clear all traces of coffee grounds so that the effectiveness of the vacuum-sealing process will not be affected. CO2 filters are great for people who like to roast and store their own coffee beans. Protects coffee from light, oxygen, and CO2. Comes with free filters for one year. After a year, you must buy CO2 filters. Save 20.0% on select products from Coffee Gator with promo code 20GRINDER, through 7/4 while supplies last. The coffee canister by Coffee Gator features a convenient date wheel on the lid so you can know at a glance how long your coffee will remain fresh. This helps you to save money by reducing the amount of coffee that you have to throw away for going stale. Whether whole-bean or ground, the Coffee Gator protects your coffee from exposure to all enemies of coffee. The canister seals out air via the powerful gasket and secure latching system. The stainless-steel construction blocks out all light. This coffee canister is available in a variety of popular colors so you can match it to any decor. 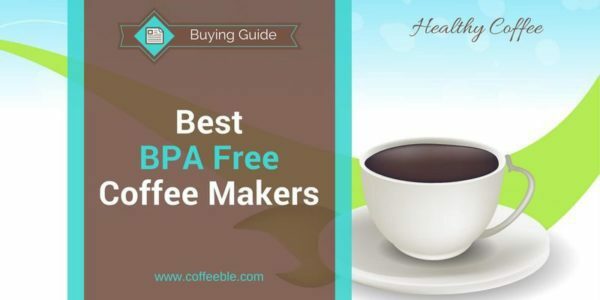 Included is a stainless steel scoop and a free eBook with the Title "10 Hacks To Better Coffee"
Simple CO2 removal system needs no special filters, saving money. Cleaning is as easy as wiping down with a damp cloth. Easy-latching closure seals tightly to keep out air. Holds finger marks and smudges easily. Some consumers have reported that the date wheel on the canister's lid is difficult to operate. The Coffee Vault Storage Canister is constructed of high-quality stainless steel, geared toward a lifetime of durability and keeping your coffee fresh. The opaque, airtight design keeps coffee safe from all sources of light as well as damage from CO2 and oxygen. All these are factors which can break down the delicate balance of oils and other elements which give coffee it's flavor and aroma. The canister comes with a matching stainless-steel coffee scoop for convenience. It stores up to one pound of coffee, whole bean or up to 21oz ground, and requires no extra equipment to activate its airtight feature. The easy-to-operate release to let CO2 inside the canister escape. Compact construction saves space without skimping on coffee storage space. Date Dial can become stuck. The Airscape Coffee Storage Canister features a patented valve system that forces out oxygen and CO2 and then securely vacuum-locks the lid into place. The canister comes in an array of colors to make it the attractive focal point of any kitchen. It is stackable to create storage space with no problem, is stain- and odor-resistant, and can be hand-washed easily. A unique feature of the Airscape Coffee Storage Canister is the fact that it has not one, but two separate lids. One internal and one external, so your coffee is doubly-safe from the damaging effects of oxygen, moisture, light, and CO2. 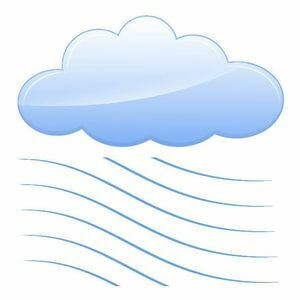 Consumers report having purchased and used the Airscape for many years with no decrease in performance. The wide mouth allows easy scooping for no wasted product as the contents get low. The Airscape holds only about 1/2 pound of coffee. Sealing bands located on the lids sometimes slip and must be re-adjusted. All coffee fans have their own personal preferences, so do you! 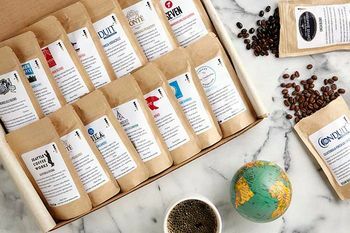 I hope, you are able to find a coffee storage container among those listed here to meet your needs.Find the one that appeals to you, that offers the qualities you consider important, and start enjoying fresh, delicious coffee any time you wish. These 7 coffee storage containers were chosen because they provide great protection for coffee to preserve its freshness and shelf life. As a coffee lover myself, my personal choice would be the Coffee Gator Coffee Canister. Actually, it's on my wishlist for Santa. I like its generous size, its reliable performance, and its modern, clean appearance. Are you sincerely trying to find the best coffee maker with grinder built-in? Then you are a step ahead of all coffee consumers that still buy ground coffee or instant coffee from the shelf. Just picture it: no more stale ground coffee to buy. 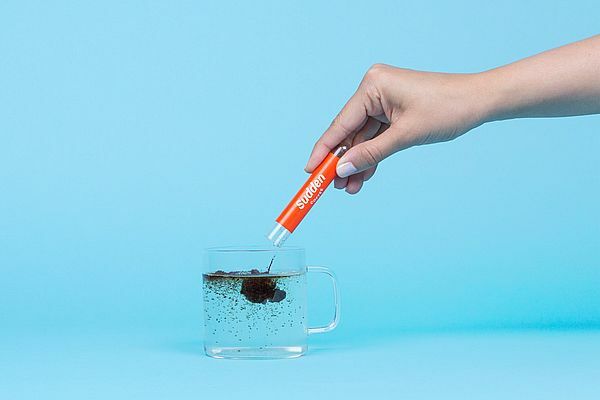 No more bitter, rancid, boring coffee in your morning cup. Because ground coffee becomes stale right after the grinding process. And this is several days when not weeks before it finally arrives in the store. Instead, you can now grab this bag of roasted whole beans, inhaling the cloud of alluring coffee smell, not stale at all. And most importantly, you get a freshly ground, delicious, mind breaking, roller coaster experience of Java in the SAME CUP! And all with the push of one button. But you should decide quickly and buy one of that super convenient all-in-one coffee maker with built in grinder right now to not torture your taste buds anymore. 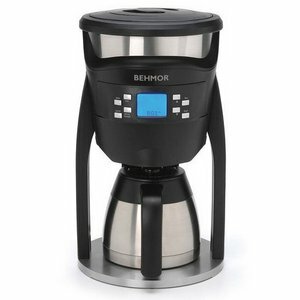 In the next chapters, you will get more information about the different types of automatic coffee makers with grinder. And if you are just looking for a single blade or burr grinder, check out my guide about the best coffee grinders. Alright, let’s have a look at the differences of the best grind and brew coffee makers in 2017. Whole beans need to be ground before the brewing process. There are two different types of grinders in the grind and brew coffee makers: blade and burr. Blade grinders spin with high speeds and slice the beans until they are finely ground. Those types of coffee makers are usually cheaper. Burr grinders crush the beans at low speed. This decreases heat and, as a result reduces the burning and bitter flavor in the brewed coffee. 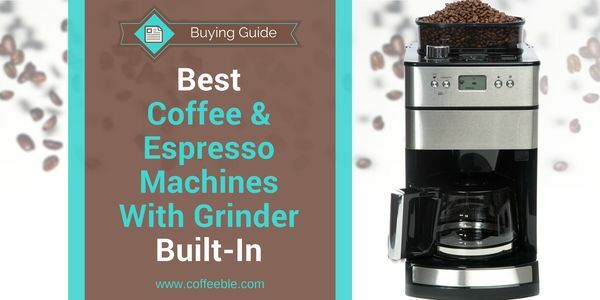 Burr grinders are definitely recommended among the experts so we will focus on them in this guide. 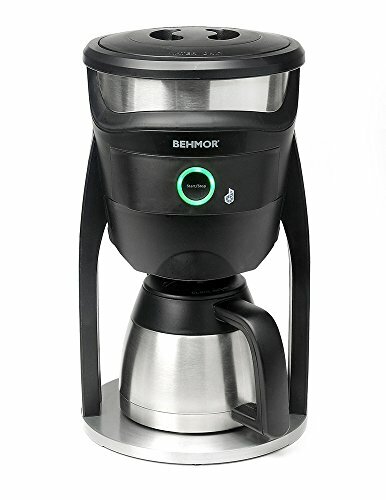 If you are on a budget and need a cheap but still high-quality coffee maker with grinder built-in look further below in the chapter Best Coffee Maker with Grinder On A Budget”. 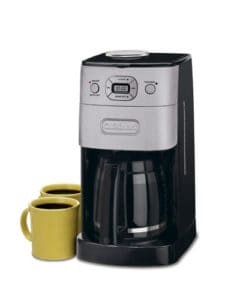 No more unsavory coffee in your cup with the best #coffee maker with grinder built-in. 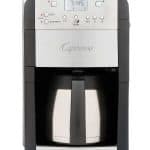 The Cuisinart DGB-900 Grind and Brew Coffeemaker is probably the best programmable coffee maker with built in grinder currently on the market. The integrated burr grinder crushes the beans to a consistent and ideal grind for a true coffee flavor. 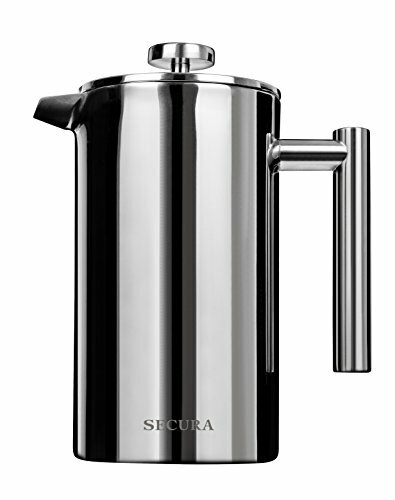 What I like best is the insulated stainless steel thermal carafe because it keeps your coffee hot for a long time without the burning taste that can occur in glass carafes. With the Grind- and Strength Control Buttons you have total flexibility in case you can’t look straight in the morning and need a quick and super strong caffeine infusion but later the day you prefer more a weak cup of Joe. Included is a charcoal water filter that eliminates unpleasant tastes if you have no reverse osmosis system or do not use bottled water. The provided gold-tone permanent coffee filter lets coffee oils pass. The outcome is an increased rich and bold flavor of the coffee. However, some people don’t like it so you can also use regular paper basket coffee filters to remove those oils. Just be aware to not use both permanent and paper filter at the same time! The only difference of the Cuisinart DGB-700 to its big brother DGB-900 is the glass carafe. For this reason, it has an additional heating plate and an option to set the timer from 0-4 hours until it shuts off. Check the current price difference between the Cuisinart DGB-900 and DGB-700! Is it less than $50? Then I would highly recommend you to spend the difference and invest in the Thermal Carafe Coffee Maker, especially when you spread your coffee consumption over several hours. The Breville BDC650BSS is the upgraded model of the BDC600XL which was already a pretty good coffee maker with built-in grinder. As with the previous model you get a great looking machine but now it has even more functionality and intelligence under the hood. The improved location of the temperature sensor and heating element give you more accurate control of the water temperature to make sure that you hit that sweet spot of 200 degrees with every brew. Breville BDC650BSS can brew a single cup of coffee right into your mug. Coffee on the go - no problem with the Breville BDC650BSS. The grinder now has adjustable burrs so you can vary your grind coarseness depending on the beans you’re working with and the flavor you’re after. 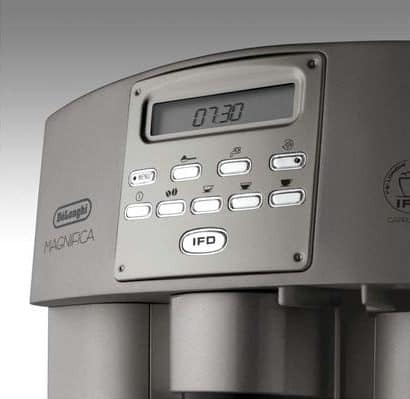 As with the previous model, you get an adjustable strength control which varies the coffee to water ratio for each brew. This machine is really smart in the way it optimizes the amount of beans needed to get the strength you want. Different beans don’t all grind the same so there’s even a calibration feature so you get it just right. During calibration it will grind the beans for 10 seconds, weigh the grinds and then adjust the coffee to water ratio accordingly. If you change the beans you’re using then simply do the calibration again. 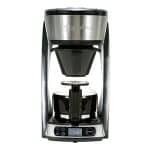 The LCD panel has an uncluttered look about it and clearly displays information like the water level, strength selected, grind size and brewing time. I really liked the flexibility in serving capacity. It will make as many as 12 cups (8 if you like it strong) but also gives you a single cup option. Some higher capacity machines struggle to make a single cup of coffee with enough flavor because so little water is dripping through the grinds. This machine first lets the water steep in the brew basket a while before letting it drip through which results in a great tasting, full bodied cup. With the Coffee Team Pro Plus Capresso has taken the Team TS/GS version and made it even better. You still get an integrated solid steel conical burr grinder but now it only has 3 grind settings as opposed to the 5 that the Team TS/GS has. The great thing about this grinder though is that the top burr is now removable which makes it a lot easier to clean. The two-step grind and clean chamber will also automatically clean the grinder after each cycle. This prevents any buildup in the grinder so you get consistent quantities of coffee deposited into the brew basket each time. While the Team TS/GS struggles a little with oily beans the Pro Plus has an “oily bean” setting which accommodates the extra time it takes for oily beans to move through the chute. At 7 ounces the bean container is slightly bigger than the one in the Team TS/GS and is fully removable so you won’t end up spilling beans all over the place. Another improvement is that the water reservoir is also fully removable. They’ve done away with the 3 strength setting and the amount of coffee it grinds is determined by the quantity of cups you choose to brew. The cup quantity setting only regulates the how many beans are ground and not how much water is used. It will empty the reservoir each time so you have to regulate the amount of water you use manually. 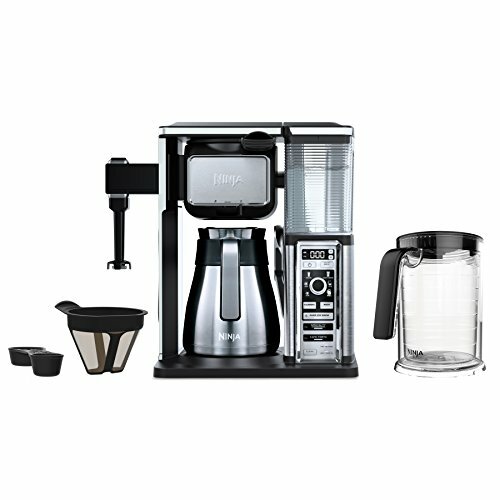 Whether you go for the glass or thermal carafe option you’re going to get an attractive machine that makes good coffee. The removable bean and water containers and the self cleaning grinder make it worth the extra $40. If you prefer a bit more control on the grind coarseness and use mainly drier beans then the Team TS/GS might be a better bet. Right now you get the Capresso CoffeeTEAM Pro Plus with thermal carafe plus a steam wand milk frother, two coffee mugs and spoons and some descaling powder for what it seems the same price as the coffee maker itself. Check it out by simply clicking below or on the image. 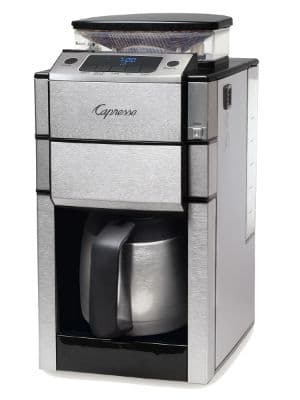 The Capresso Coffee Team combines a conical burr grinder and coffee maker into a compact, attractive package which weighs 4 pounds lighter than its 14lb big brother Pro Plus model. The GS option comes with a glass carafe while the TS option comes with a stainless steel thermal carafe, which would be our preference. The grinder has 5 grind settings from coarse to fine but the fact that the top grind head can’t be removed makes it a little difficult to clean. It also doesn’t have the grinder self clean function that the Pro Plus has. If you’re using oily beans this can be a bit of a pain because more and more of the grinds remain on the burrs and your brews eventually get progressively weaker as a result. Besides the grind adjustment you also have 3 different strength settings. The strength settings just regulate how much coffee grounds are used and don’t regulate water usage. It will empty the water reservoir each time you do a brew. 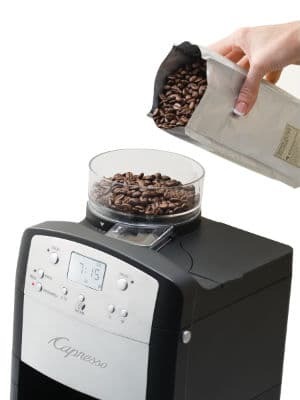 The 6 ounce bean container is slightly smaller than the one you get in the Pro Plus and oily beans will sometimes need some coaxing with your finger to get them all to go through the grinder. This and the absence of oily bean settings makes this machine better suited to dry beans. The bean container isn’t removable so getting leftover beans out when you’re switching beans is a bit of a pain. The water tank also isn’t removable so it takes a little finesse to refill without spilling. 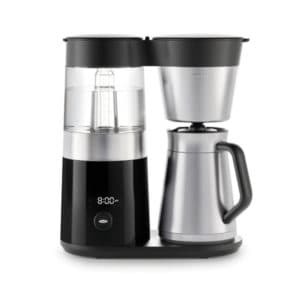 Aside from some of the fiddly issues this is a well constructed coffee maker with a decent grinder that produces a respectable carafe of coffee. If you don’t mind spending an extra $40 then I’d rather go for the Pro Plus (check section above). 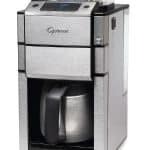 The Cuisinart DGB-650 Coffee Maker is compared to the DGB-700 and DGB-900 models equipped with a blade grinder. That’s why it is cheaper! 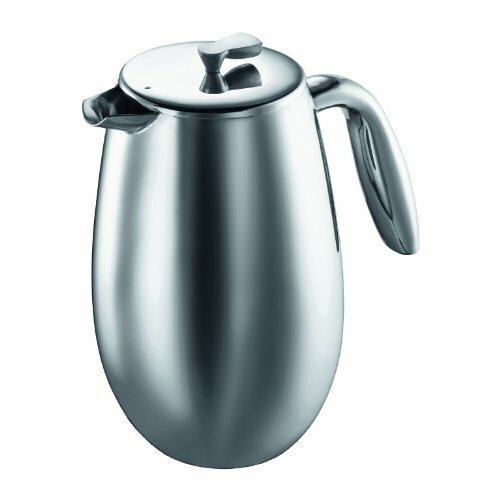 The biggest difference to the below-mentioned DGB-625 is the double-wall stainless steel thermal carafe! That’s the reason, why it is more expensive! But, comparing the volume, it can only hold up to 10 cups of coffee – instead of 12 cups for the glass carafe of the DGB-625 Coffee Maker. Bear in mind, that manufacturers typically consider a cup about 5 to 6 ounces only. All the other features are pretty much the same. 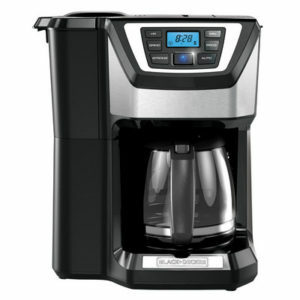 For example, LCD Display with timer, 1-4 cup setting or brew pause to pull out the carafe during the brewing process. 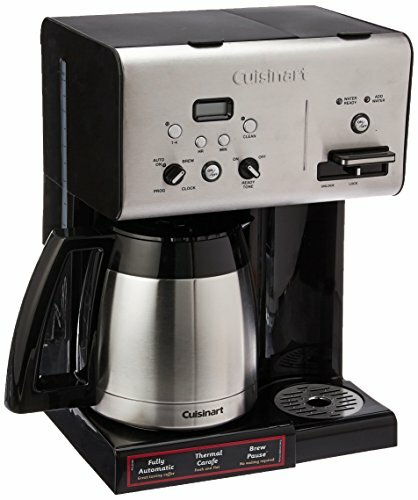 The programmable Cuisinart DGB-650BC Coffee maker is a good choice for you if you enjoy your coffee over a longer time. The thermal carafe keeps the coffee hot for a few hours and even longer if you preheat it with hot water! The disadvantage of coffee makers with grinder built-in is that they are usually quite expensive means you won't find a lot of cheap ones. For this reason, I searched the world wide web if there are any budget grind and brew coffee machines and I found two of them. 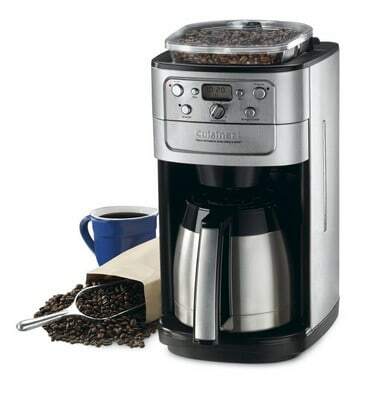 The entry level Cuisinart coffee maker with grinder is equipped with a blade grinder and glass carafe. 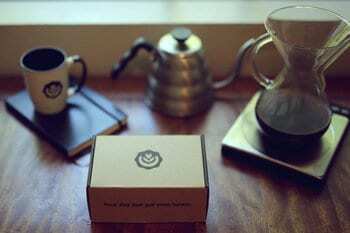 The warming plate keeps the coffee hot and can be adjusted to automatically shut off from zero to four hours. The display features an integrated digital clock and easy to read buttons with useful extra features. You can set a timer to automatically start the brewing process at any time within the next 24 hours. The 1-4 cup setting is especially helpful when you don't want to brew a whole 12-cup carafe of coffee. In this case, the machine automatically slows down the brewing process and thus increases the steeping time of the coffee. I have had one of the previous models of this Cuisinart Grind And Brew Coffee Makers and I got to admit one thing. Cleaning the inner parts, especially the funnel between the grinder and the basket is messy and inconvenient because it's simply hard to reach. 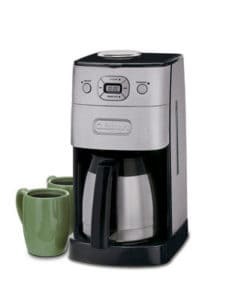 But other than that I can recommend this machine because it's reliable and brews a consistently good and hot cup of Joe. 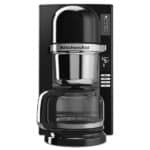 The Black & Decker CM5000R 12-Cup Mill and Brew Coffee Machine is available in four different colors: black, white, red and gray. What I haven't seen before is the attached grinder to the bronze tone coffee filter. You pour coffee beans into the filter and the blade grinder automatically grinds them inside the filter. You can turn off the grinder when you are using pre-ground coffee. It's important to know that the filter can be removed easily to wash it in the sink or put it in the dishwasher. My only concern with this new technique is, how to replace the filter when it's too dirty or old. I couldn't find any replacement parts at Black & Deckers' website yet. So I don't know how expensive it will be to replace this unit. But I'll keep my eyes open. If you find it before me, why not adding it to the comments section below? Kudos to you! Back to the features of the Black And Decker Mill and Brew Coffee Machine. The large backlit display has buttons for brew strength, grind settings for lighter or stronger flavor and an auto brew function to set a timer to start the brewing cycle automatically. The Auto Shutoff feature is a nice to have in case you rush out in the morning without turning the coffee maker off. 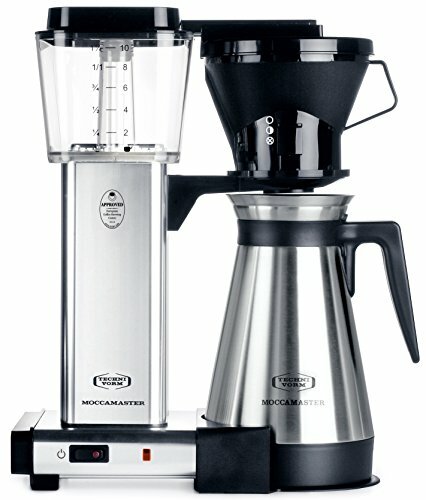 This is single cup brewer with integrated blade grinder and is ideal for singles who only drink one or two cups a day. Even if you drink a few cups a day but always insist on freshly ground beans then this is a better bet than a larger capacity machine that stores the brewed coffee in a carafe. 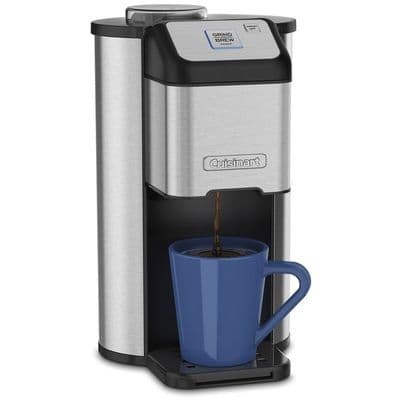 It grinds and brews up to 16 ounces at a time and is very easy to use. There aren’t a lot of dials and buttons or multitudes of settings. Simply add the water, add the beans and then press the “Grind and Brew” button. If you want to use some pre-ground coffee then it also has a grind-off feature that allows for this. The space below the brew basket will accommodate most regular size mugs and the drip tray can be removed if you want to fit your taller travel mug in. 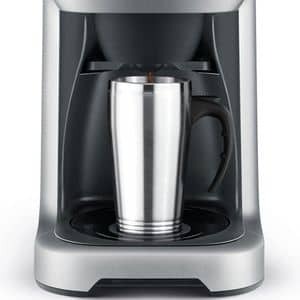 This is not the coffee machine you want to be using when you get guests but it’s perfect for getting a single fresh cup of just-ground coffee every time. When manufacturers claim their espresso machine is “fully-automatic” I always take it with a pinch of salt. With the Krups EA8250 that moniker is completely justified though. Once you’ve got your settings dialed in just the way you like it all you need to do is add beans and water and press “brew”. It will grind your beans, tamp the coffee down and deliver a great cup of espresso all in under 2 minutes. Their Thermoblock System is the main reason for this super fast delivery and ensures a hot cup of coffee every time instead of the almost-hot shots that you get from some machines. The grinder is a solidly built conical burr grinder but as with most integrated grinders you’ll get better results with less oily beans. I would have preferred a removable bean hopper but that’s about all I can complain about. 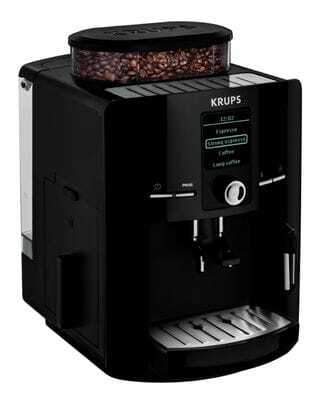 The grinder of the Krups EA8250 is a solidly built conical burr grinder. The integrated steam nozzle does a great job of turning milk into froth if you’re into lattes and I liked that the machine comes supplied with its own stainless steel milk container. I enjoy drinking coffee, not cleaning coffee machines. The EA8250 only needs to run through its automatic cleaning cycle every 360 cycles and leaves you with very little to do yourself. Every few months you’re going to need to replace the water filter and that will set you back around $20. If you use pre-filtered water then you can get away with doing this less often. 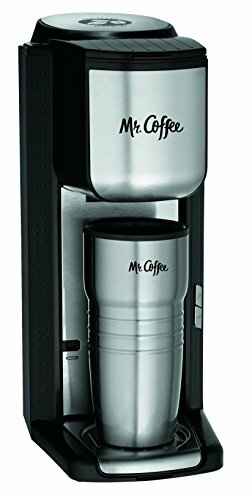 This is not a cheap coffee machine by any stretch of the imagination but the fact that it makes a great cup of hot espresso so quickly and easily makes it worth every cent. What’s especially impressive is how they’ve managed to fit all the mechanical wizardry and what must be at least 3 little barista elves inside such a compact and attractive housing. If you like the idea of making espresso the way the pros do but you’re still learning the ropes then this entry level machine is ideal. It offers a great automatic function while still allowing you a few manual adjustments if you want them. Not only does it look the part but it produces a great espresso really fast. From grind to brew to in the cup all takes just under a minute. It won’t automatically tamp the grounds for you but the magnetized tamper spot storage makes it a breeze to remove and store the tamper. 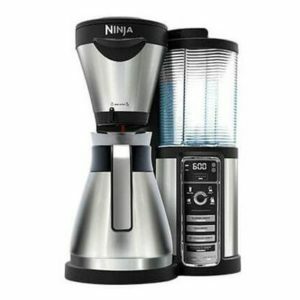 The stainless steel conical burr grinder is fed by a removable half-pound bean hopper. The attractive control interface allows you to vary the grind anywhere from fine to coarse and how much coffee you want dispensed into the filter basket. This machine is solidly built and very stable with the non-slip feet ensuring that the machine stays put when the grinder is doing its thing. Once tamped down the Italian made pump produces 15 Bar of pressure to drive the hot water produced by the 1600W Thermo coil system. A flat head water spigot then dispenses water evenly across the coffee puck for maximum coffee extraction. If you’re a bit of a newbie then the dual-wall pressurized filters will automatically regulate the pressure so that you get the best extraction. If you’re feeling a little more adventurous you can use the included single-wall non-pressurized filters and then the pressure regulation is all up to you. It’s easy to select to brew either one or two cups and you can even override this selection manually if you change your mind halfway through. Another very detailed and informative video, not only about the Breville Espresso Machine but also tips and tricks about how to make a good espresso. Eventually the “clean me” light will come on but it’s easily done with the supplied cleaning kit that stores in a hidden compartment. 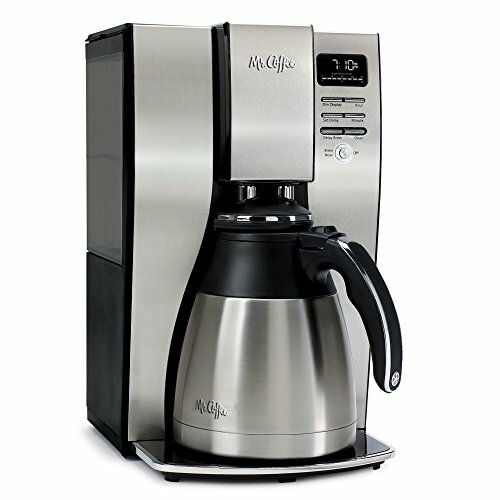 This machine makes great coffee really fast and even when not in use is an attractive feature in your kitchen. 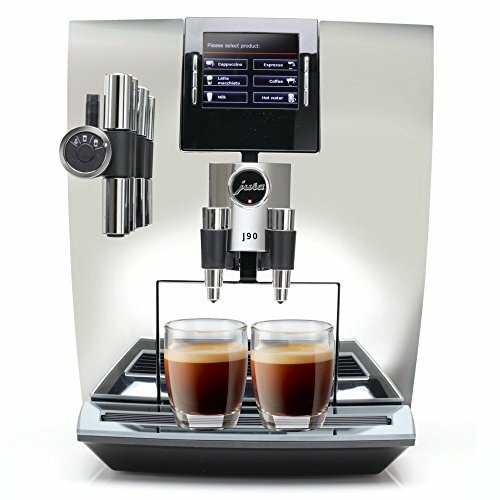 If you think espressos are too boring or sometimes just want a bit of variety then this may be the machine for you. They call it a “super-automatic” machine and they’re not kidding. Do you want an espresso, Americano, cappuccino or latte? No problem. Press a button, take your beverage. The preset latte or cappuccino button means that once you’ve dialed in your strength, amount of shots, amount of milk and froth preferences the machine will deliver your drink just the way you like it with a single button press. You don’t even need to hold the contained while frothing the milk. This is as hands-free as it gets. Had your tenth cup of coffee for the day and want to dial back the caffeine buzz? No problem. It has a hot water spigot for when you just want some hot water to make tea or cocoa. I also liked that the spouts are height adjustable to accommodate the size cup you’re using. The ESAM3500.N uses an integrated conical burr grinder to grind the beans for each brew. The grind fineness is adjustable and the grinder is fed by a 7-ounce hopper. You have to make sure there are beans in the hopper though because the machine doesn’t check. While the grinding and brewing process is really quick the machine does take around 5 minutes to warm up once switched on. Use the auto on and auto off timer wisely so you don’t have to wait. Even when the power goes off the battery backup will ensure that it comes back to life with the correct time and your settings intact. The machine does a great job of keeping itself clean but you’re going to need to clean out the coffee grounds yourself and you’ll need to do a descale cycle about once a year depending on the hardness of your water. They’ve made a lot of the parts removable and they’re all dishwasher safe which makes cleaning and maintenance a lot easier than other machines. 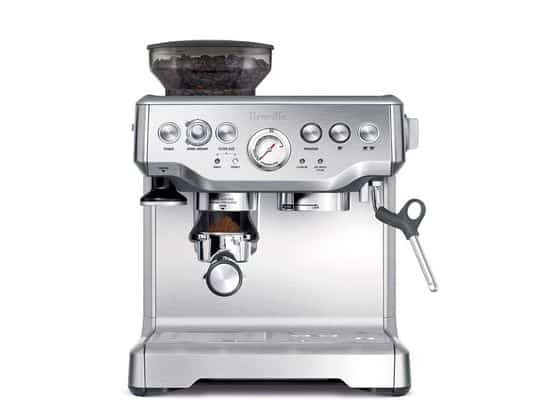 Coffee Maker or Espresso Machine with built-in grinder? 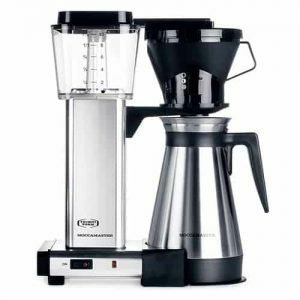 There are a some very important features to consider before you select the best coffee maker or espresso machine with built in grinder. I hope with my selection, the comparison table and detailed guiding instructions you can now make the decision that best fits your needs! 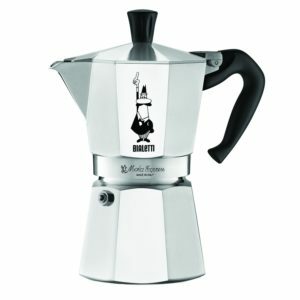 So what's in your opinion the best coffee maker with grinder? Or espresso machine? Please leave a comment below. The best coffee grinder for your French Press is not a blade grinder. That’s why we don’t waste our time with them in this post. And if you can’t agree because you don’t know, would you please trust me for now: you don’t want a blade grinder for your French Press. 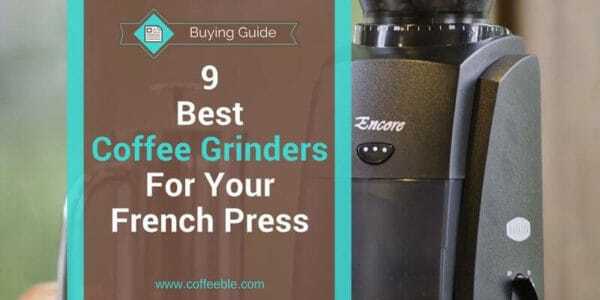 In this post, we focus on burr grinders I specifically recommended you for French Presses. We compare different types and what to look out for before you purchase a new “life partner” for your Coffee Press. What do you say, let’s start! Have you had French Press Coffee before? If yes, then you have probably noticed the sludge at the bottom of your cup. Lucky you if it was just a little bit. But with the wrong grind size, you could end up having a tablespoon or more of coffee sediments in your cup. This is one of the two reasons why your new coffee grinder should have a setting for a coarse grind size. The filter in a French Press is a fine mesh screen and pushes the ground coffee down to the bottom of the press. If the grinds are too fine, they can pass the filter and end in your cup. And having coffee sludge in your mouth is not a pleasant experience. So when you notice a lot of sediments in your coffee and the French Press filters are intact, your new coffee grinder should have a setting to increase the grind size. You may have read about it a few times that the recommended steeping time of coffee in a French Press is around 4 minutes! But the brew time also depends on the grind size. At first, let me tell you, there’s a lot more going on during the brewing process than just grind size and brew duration but for the sake of simplicity let’s focus in this post on size and duration. You should know that the larger the grind size, the longer it takes to extract all the flavors. The problem that can occur with a fine ground coffee is that within the recommended 4 minutes, it extracts too much of the flavors in a short time which results in bitter coffee (over-extraction). If you’re interested in the whole chemistry of coffee extraction, I highly recommend Coffee Chemistry, a leading website about coffee science and chemistry. Now that you know why you should use a coarse grind size, let’s move on and look at recommended burr coffee grinders for the French Press. If you don’t mind using some arm power, you get the best grinding results with a manual hand coffee grinder. Most of them are also affordable and at the same time grinding beans with a similar quality and consistency as you only get with more expensive electric versions. You don’t need to be a weightlifter but if you have arthritis or a similar condition, a manual coffee grinder might not be a lot of fun to use. In this case, an electric coffee grinder would be a better choice for you. But more about them later! A manual coffee grinder is best for you, when you ... ? This grinder is called mini because it’s the smallest mill of the Japanese manufacturer. The container can hold up to 20 grams of coffee. Depending on your strength preferences it is enough for one mug or about 2 cups of coffee. The burrs are made of ceramic. But all other parts are made of plastic, including the collection container and the grind adjustment nut . The size of the grinds must be set manually by turning the nut. Tightening the screw will grind finer while loosening will grind more coarse. It might be difficult for you to remember the perfect position for one grind size if you switch back and forth from a coarse to a fine grind. You have to count the clicks to remember the last position. From fine to coarse, the grind size is consistent and even, just don’t expect it to be fine enough for espresso. The Hario Mini Coffee Mill Slim Grinder is perfect for you when you brew small quantities of coffee in any kind of coffee maker, but it’s not recommended for espresso machines. Low weight and size is also a plus if you’re looking for a grinder while traveling. 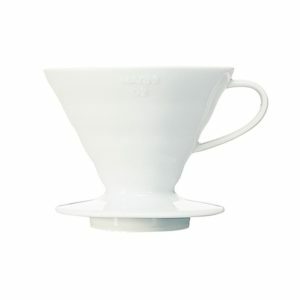 The Hario Skerton is similar to the Hario Mini Mill but it’s wider and has with 100 grams a larger capacity. 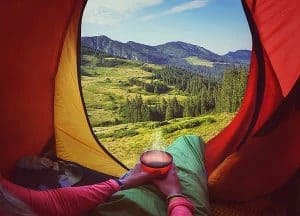 On average you can brew about 5-7 cups of coffee, which should be enough for a small family or your buddies on the next camping trip. The burr material is ceramic but unlike the Mini, the container is made of glass which may provide a better grip when grinding the beans. Glass also helps to reduce the static build up while grinding. The static makes the grinds jump all over the place and can create a mess at the table. 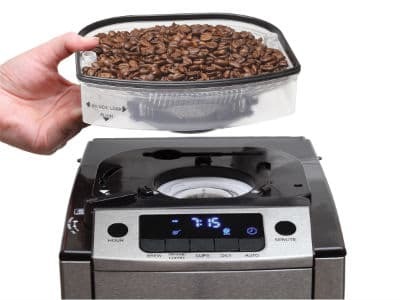 A nice add-on is the included lid for the bean container which prevents the beans from falling out during the grinding process. Changing the grind size could be a little irritating. Before you have access to the grind adjustment nut, you must remove the locking screw, the handle, and the stopper. And don’t ignore the fact, that you have to put it all back together afterward. Overall the users are happy with the grind consistency despite the fact, that some test results have shown a slight inconsistency with coarser grind settings. The Porlex hand coffee mill in stainless steel is available in two sizes. The larger version of the Porlex mill, the Porlex JP-30, is with 7.5 inches similar in size to the Hario Mini Mill. In contrast, the Porlex Mini is so small that it even fits inside the Aeropress Coffee Maker which is perfect for traveling! Except the size and the rubber band on the small one, they are both the same. And both are equipped with ceramic conical burrs. The Porlex Mini is an elegant little hand mill, which is well suited for beginners and travelers. With 20 grams of coffee capacity, it is perfect for 1-2 cups of coffee at a time. The Porlex JP-30 can hold up to 30 grams of coffee and therefore, lets you brew about 2-3 cups at a time. Since they’re made of stainless steel, there is no static built up after grinding. The static charge, which makes the coffee grounds jump all over the place, is really annoying in plastic made coffee grinders. The Porlex hand mill has approximately 15 different grind settings. These range from a fine grind for the espresso maker all the way to a coarser setting for the French Press. The grind size can be easily adjusted with the click mechanism on the grinder. Based on hundreds of user reviews, the consistency of the grind size is very good – for both fine and coarse grind settings. Rediscover the good old-fashioned way of grinding coffee with the Zassenhaus Coffee Mill. The narrower design is ideal for you to hold the Zassenhaus coffee grinder between your knees. This may not be necessary for coarse French Press grind. But the finer the grind settings, the more resistance you can expect. So locking the grinder between your knees might be helpful. The drawer can hold about 60 grams of coffee which should be enough for 4-5 cups. As a side note: I found this useful information at Sweet Maria’s. The conical burrs are made from high-grade stainless steel and are adjustable from espresso fine to French Press coarse. And the best is, that Zassenhaus coffee mills are NOT made in China, they’re still made in Germany. The price is with about $100 definitely not made in China, but you’re paying for quality. And if you choose the Zassenhaus Coffee Mill, your purchase is backed by a 10-year warranty on the grinding mechanism. Less is more! Are you wondering what the heck I’m talking about? Cheaper burr grinders often struggle with grinding fine coffee grounds. But most of them still do a good job with coarse and medium grind sizes. 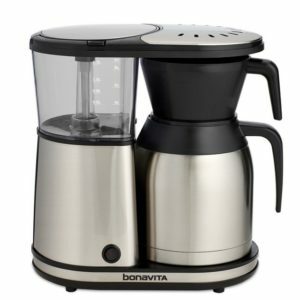 Simply said, you don’t need a super expensive espresso coffee grinder like Baratza Forte, Rancilio MD40 or Mazzer Mini, just to mention a few. I would suggest, that everything above $250 for a french press coffee grinder is too much. An automatic/electric coffee grinder is best for you when you...? The Cuisinart DBM-8 Burr Grinder is one of the best budget friendly coffee grinder for the French Press with very good reviews. Don’t expect it to be the perfect fit for all your needs – the need for an espresso, to be more precise. As a reminder, this post is about grinders for the French Press. And for this brewing method, I can recommend the Cuisinart Burr Grinder! The burrs are not conical and look more like disk burrs. And they’re made of plastic. In fact, everything is made of plastic: the hopper, the receiving box, and even the stainless steel looking housing. But according to Cuisinart, all parts are BPA-Free. So if you are about to make the switch from ground coffee from the store to grinding at home, get the Cuisinart DBM-8 at a price you can afford. The Bodum Bistro coffee grinder is actually the one I personally use at home. Since I’m a dad on a budget I chose this one because of the great price plus the glass catcher for the beans. Because it reduces the static that causes coffee grinds to jump out of the container. I haven’t tried the very fine settings yet because there was no need. Most of the times I brew coffee with my French Press or the Bunn MCU and for these brewing methods the grind size is consistent and even. The grinding process is either controlled by a timer (5-20 seconds) or on demand by pushing a button. One thing that bothers me a little bit is, that after the grinder has finished, there’s still about a teaspoon of ground coffee left inside. So just give it a little shake or knock to make sure it’s all out! Did you know that you can choose between different colors? Not everybody likes the standard black. Pep up your kitchen with an eye-catching white, red or even green Bodum grinder. Just to make one thing clear: With saying it lasts a lifetime, I’m not saying that this grinder cannot break. What I mean is, that Baratza offers every single part of the grinder for you to fix it yourself. How often have you experienced a small appliance to break right after the warranty is over? Fixing it yourself? You may be talented enough to do so. But where do you get spare parts? Ordering from China? On their website, you find everything: burrs, grounds bin, on/off switch, practically everything. You can even order the whole conical chassis. Now let’s have a look at the grinder itself. The entry-level coffee grinder of Baratza is an affordable solution with high-quality hardened steel conical burrs. In particular, I recommend the Baratza Encore, if you primarily brew with the French Press or Drip Brewers, the Aeropress or other manual brewers that require coarse or medium grinds. The Encore is good for a few espressos but only with pressurized portafilters. You have 40 different grinding levels which you can easily change by turning the hopper left or right. And the best, it’s easy to operate. At the front, you have an on-demand pushbutton for a short grinding duration. And on the side is an on/off switch. The only electric grinder with built-in scale in this post comes from OXO. All other automatic coffee grinders have an integrated timer. At first, you normally find a built-in scale only in high-end grinders which are way more expensive than the OXO coffee bean grinder. And secondly, coffee beans can vary in size, density, dryness, which means 15 seconds of grinding won’t guarantee you the desired grams of coffee. 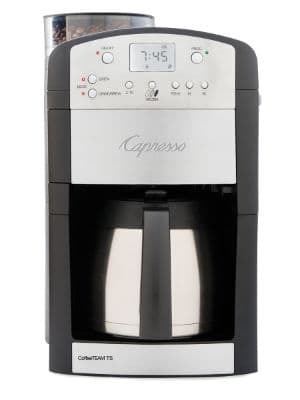 With the OXO On coffee grinder, you select how much grams of coffee you want and the grinder does the rest. As with most others, you can expect stainless steel conical burrs in this price range. The hopper is made of plastic and can hold up to 12 oz of coffee – which is the size of a specialty coffee bag. The bean hopper also blocks UV-light, which is one of the enemies of coffee to loose freshness. For the French Press, it does a good job with respect to the grind size consistency. The scale is definitely a unique feature of the OXO On Coffee Bean Grinder, but you have to decide yourself if it’s worth the still high price. But if you already have an OXO On Coffee Maker, the both would make a great team in terms of design and quality! 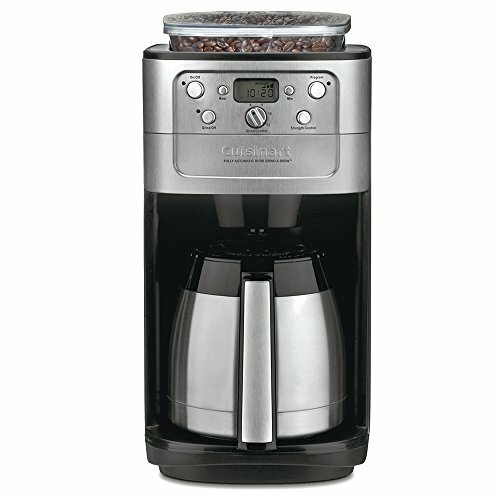 The Breville BCG820BSSXL Pro is the most expensive coffee grinder in this selection. Breville calls it the Smart Grinder because you can actually program the grinder after selecting grind time and grind size. What makes this stainless steel conical burr grinder unique is the adjustable upper burr. Because when you are not happy with the maximum coarseness of the grinds you can extend the range to an even coarser grind. Of course, this also applies to the opposite, the fine grind size. Speaking of fine grinds. The Breville Smart Grinder Pro seems to do a great job with a very fine grind size for espresso machines. I know, we’re talking about brewing with the French Press, but if you also have an espresso machine, this is a great coffee grinder for both grind sizes! There’s also an electronic timer that can be adjusted in 0.2-second increments for you to set the perfect grinding duration. The plastic hopper can hold up to one pound of coffee and comes with an airtight lid to keep the beans fresh for a longer time. 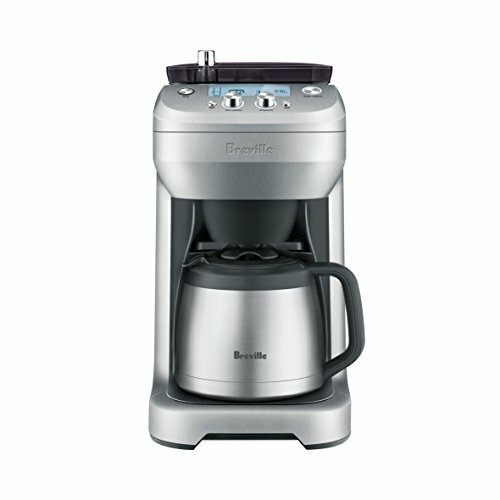 Can I recommend the Breville BCG820BSSXL Bean Grinder for brewing with the French Press? Oh yes, of course! The Breville Smart Grinder Pro is an excellent coffee grinder for an even better price for what it offers. But if you only brew coffee with the French Press, you won’t really exploit the full potential of this grinder. I hope that with my Top 9 selection of manual and automatic coffee grinders for the French Press, you now can choose the best one for your needs. Whether a manual hand grinder, a cheap grinder for a first time purchase or a smart, programmable stainless steel coffee grinder is your choice, I’m sure you won’t regret your buying decision. Please share with me in the comments below, what you think is the best coffee grinder for the French Press!